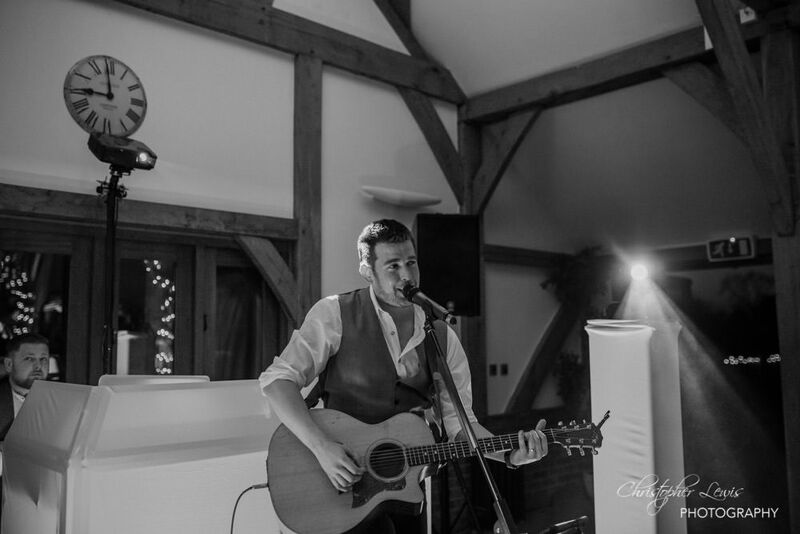 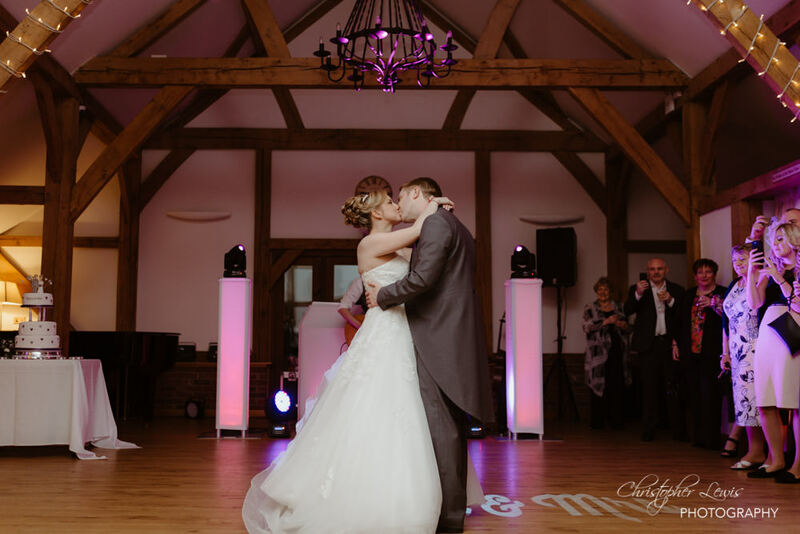 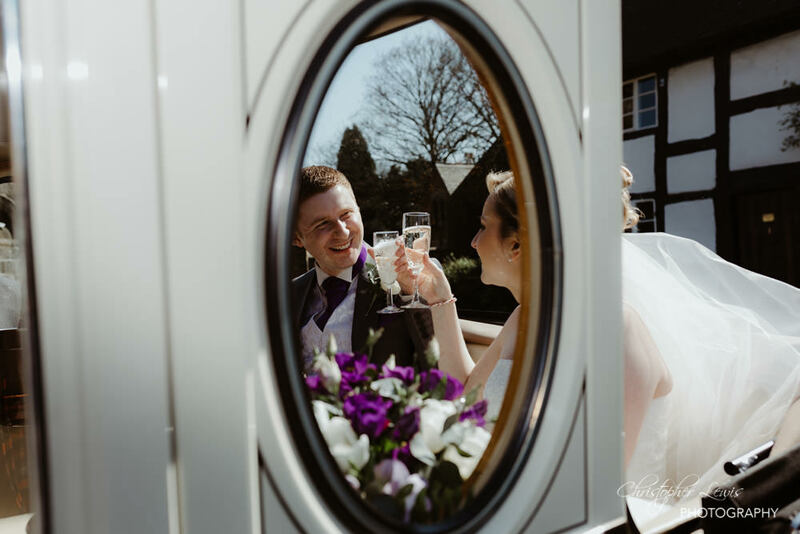 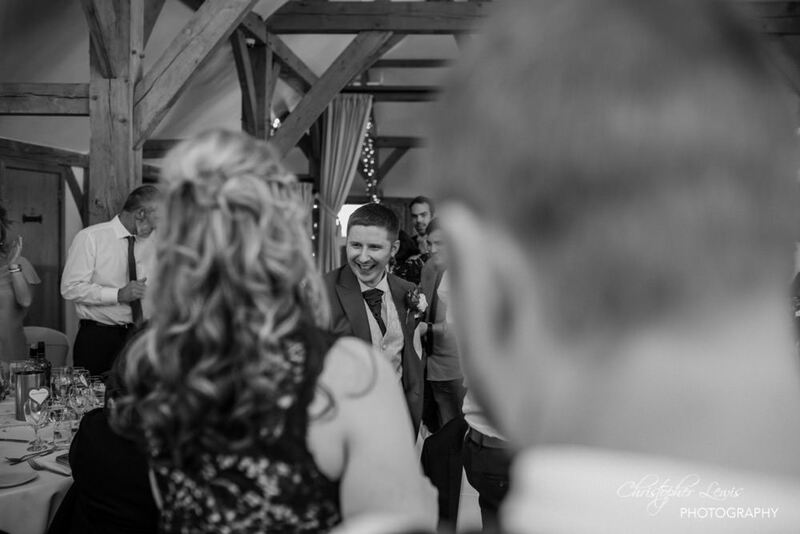 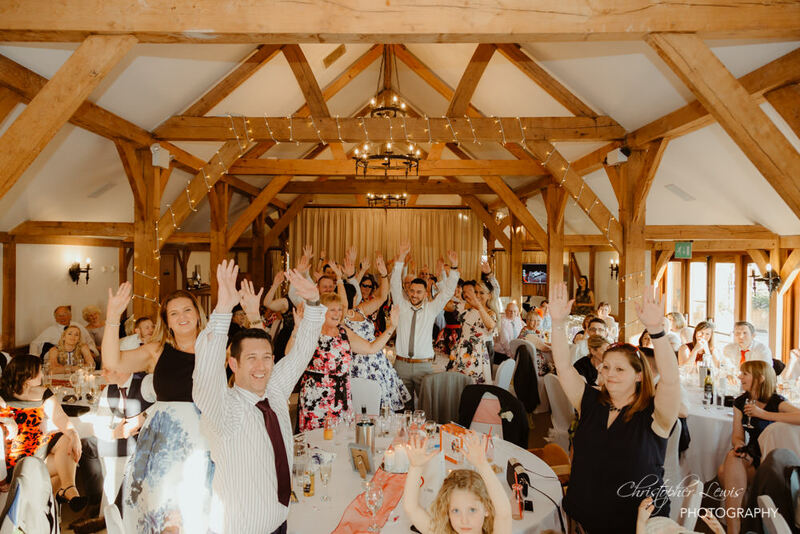 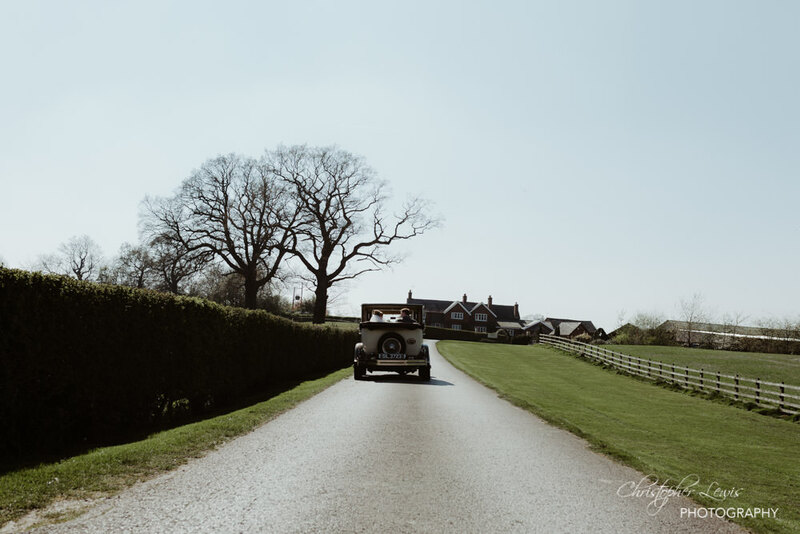 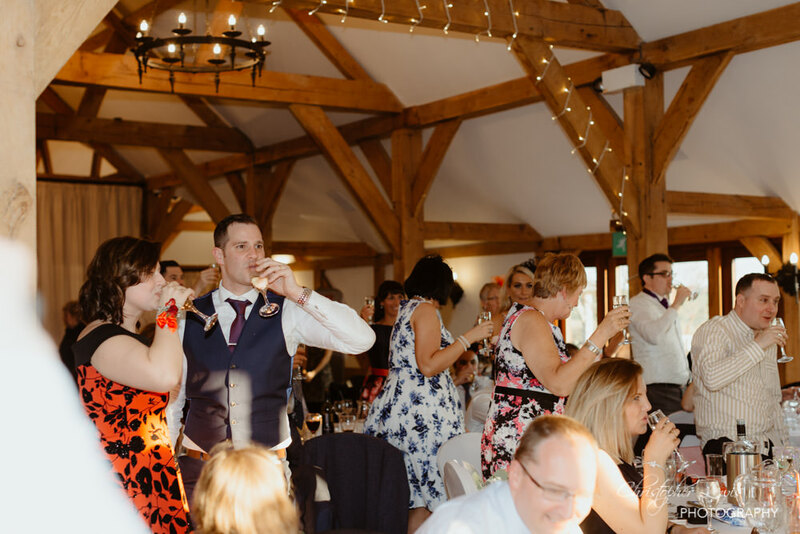 Sandhole Oak Barn in Cheshire is a beautiful place to shoot in the sunshine. 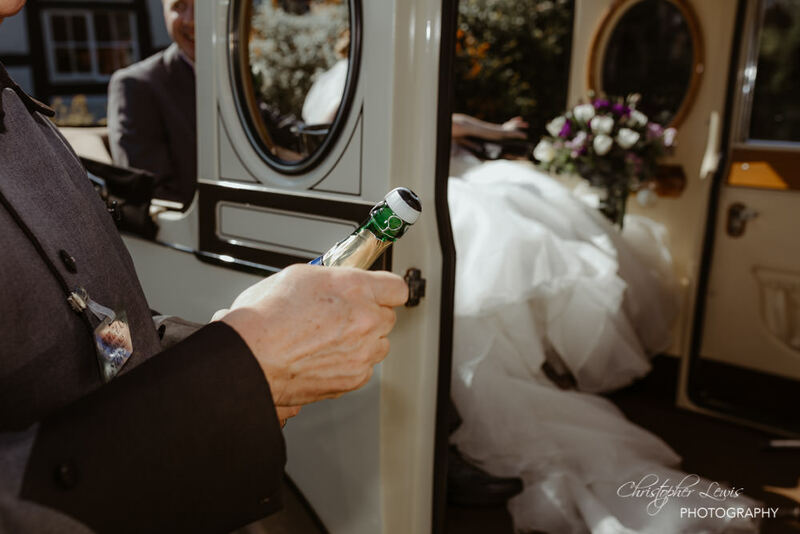 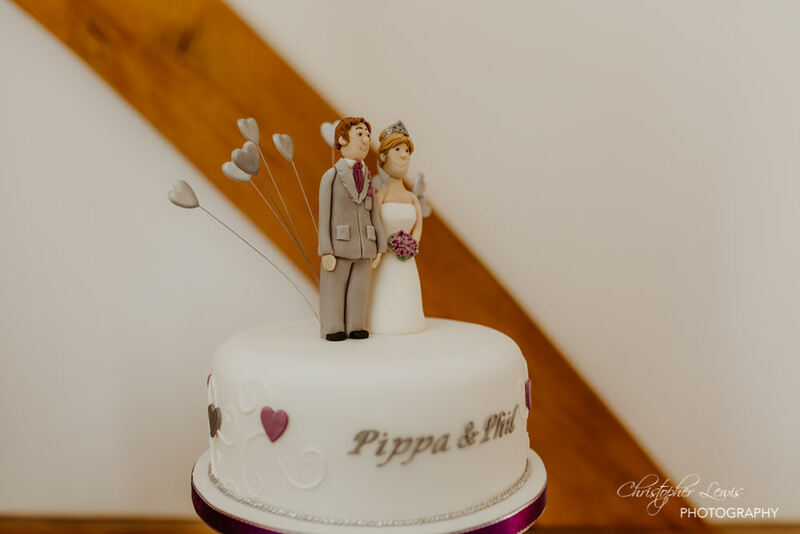 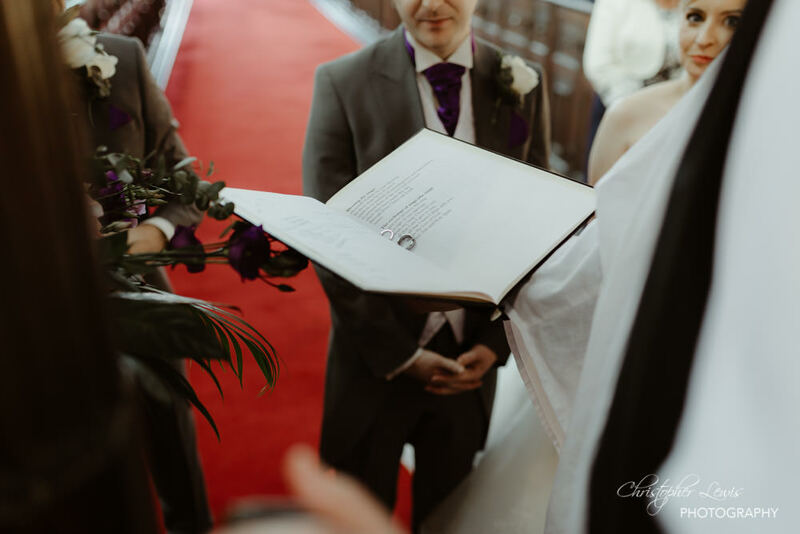 Its fairly epic any time of year to be honest, but on this warm spring day, it was Phil and Pippa’s turn to start a new chapter. 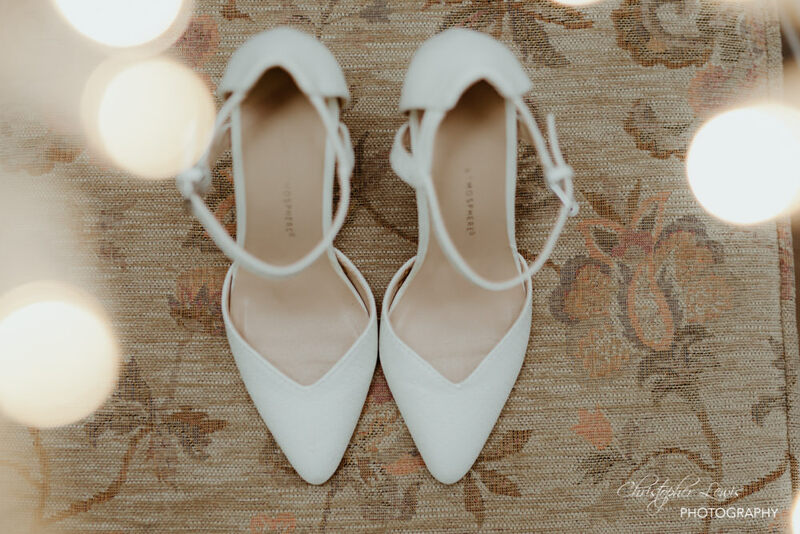 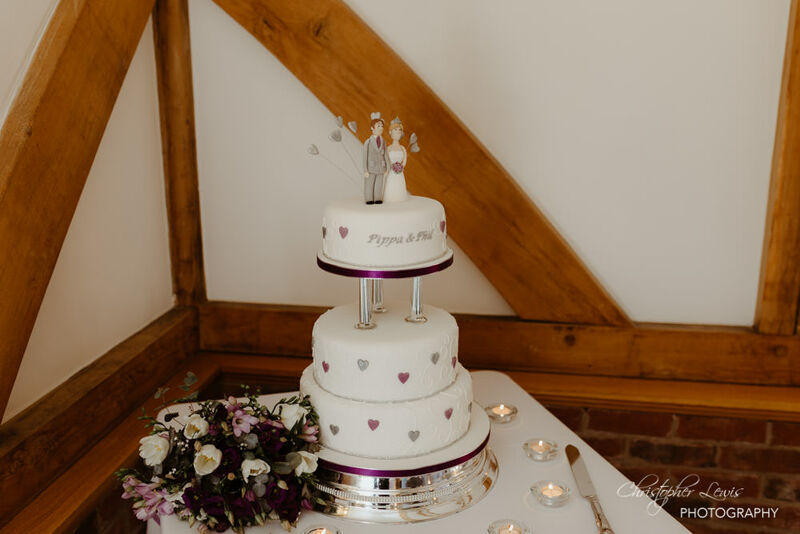 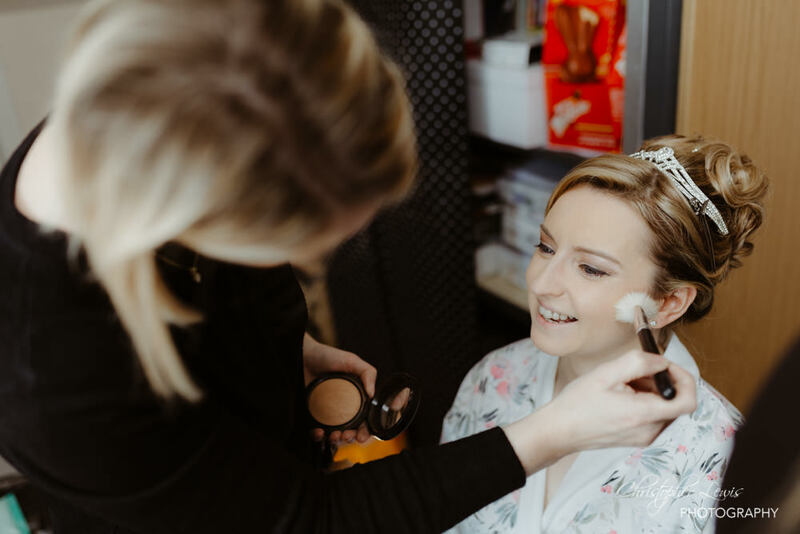 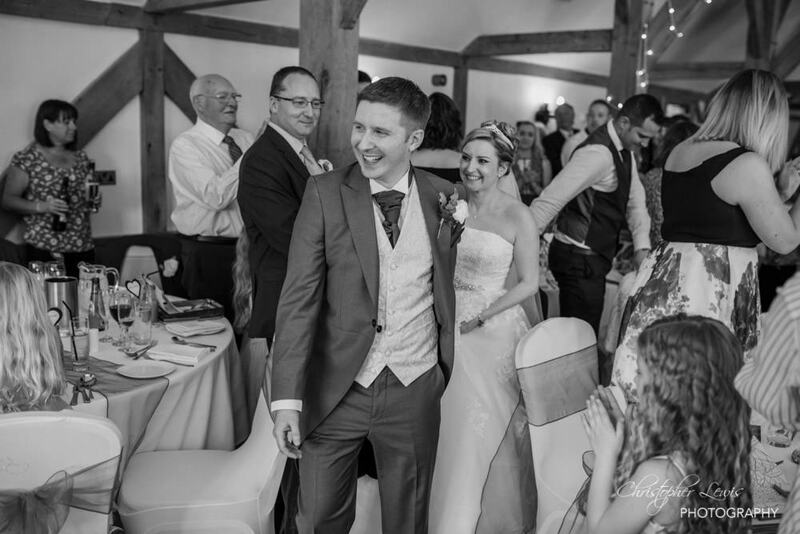 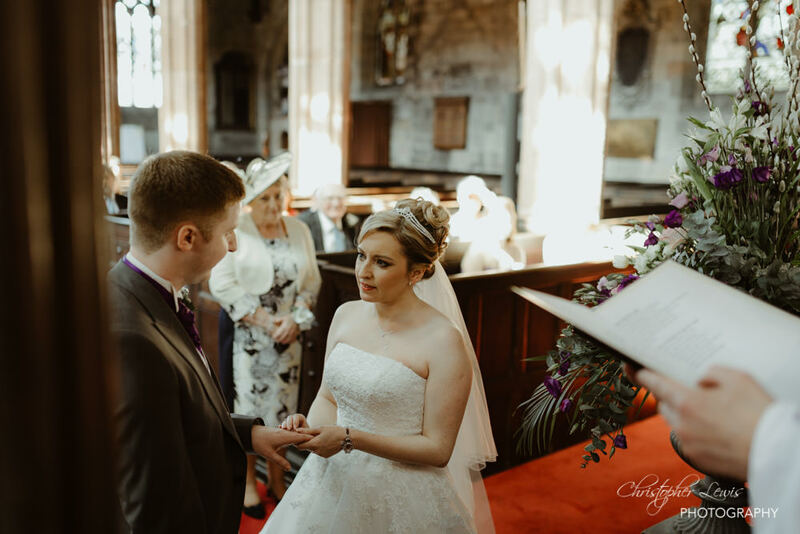 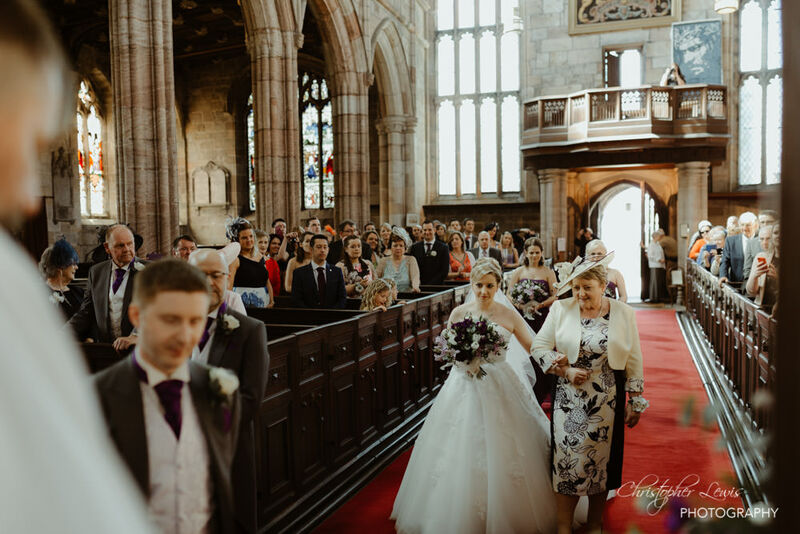 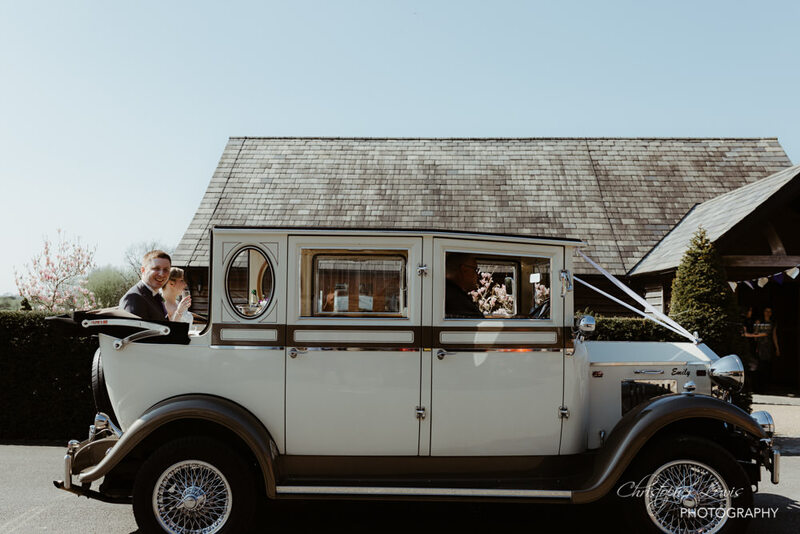 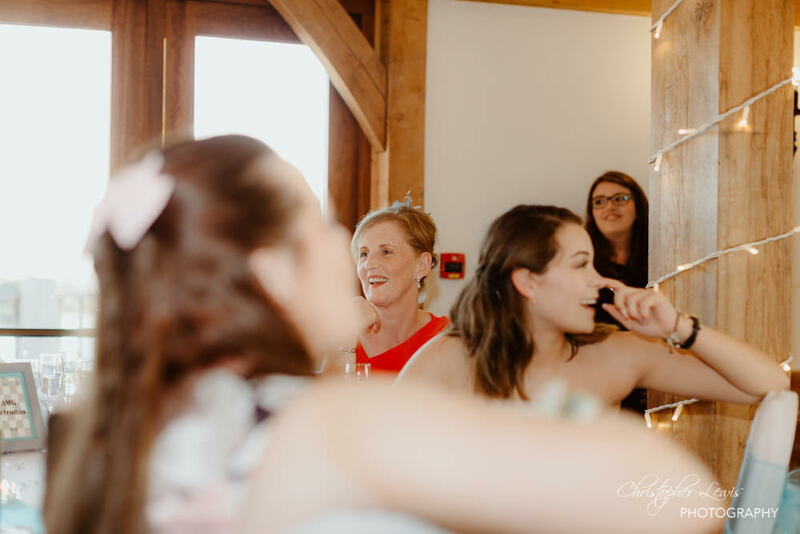 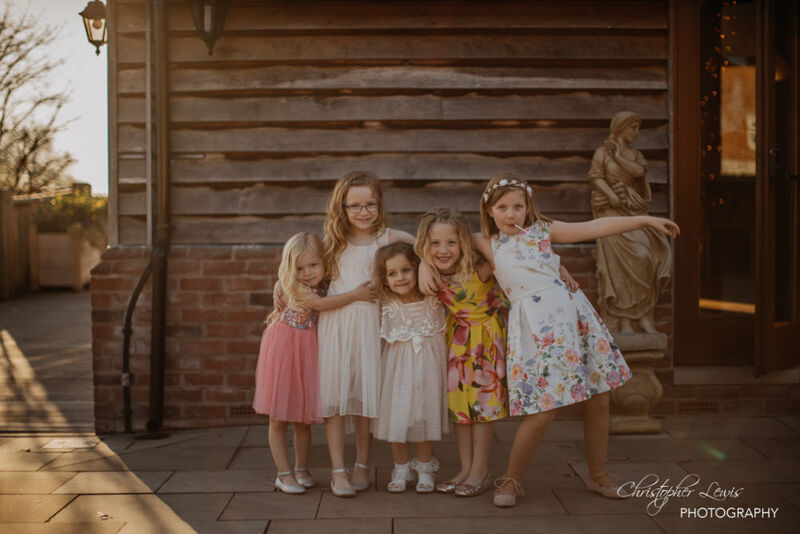 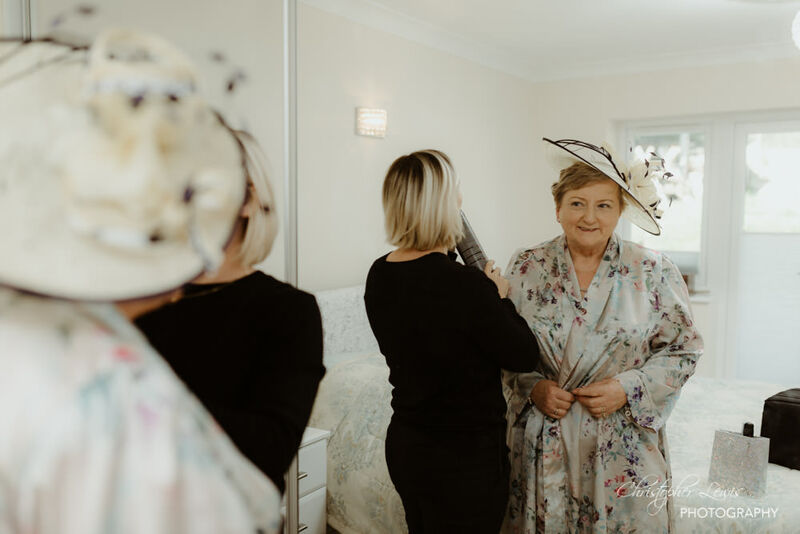 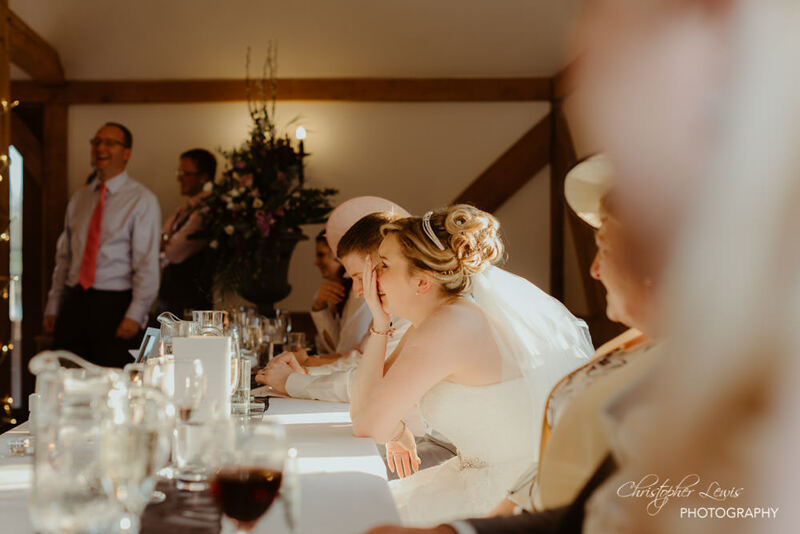 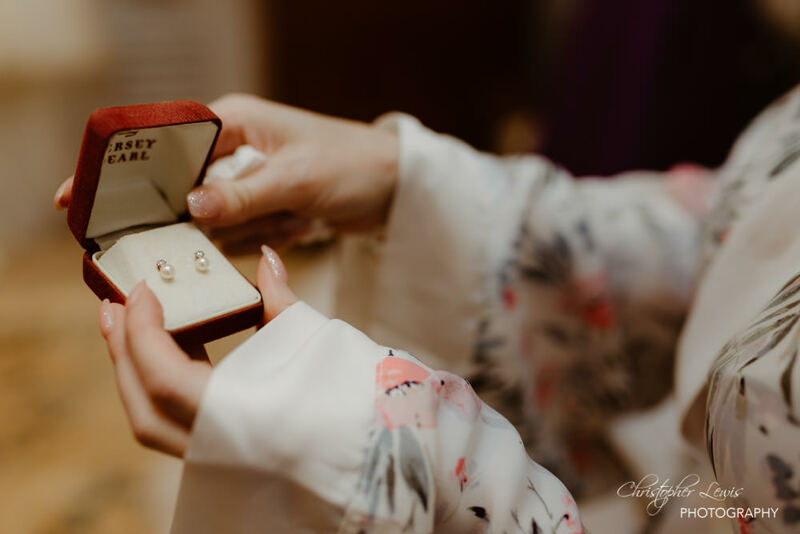 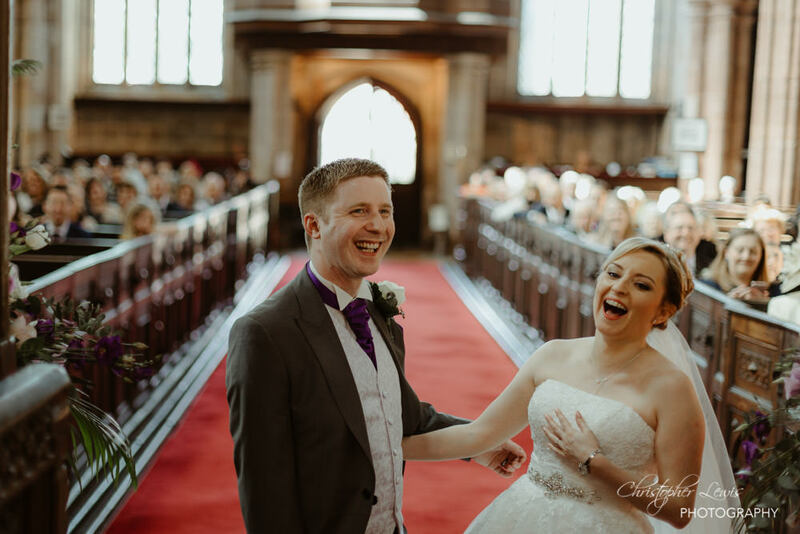 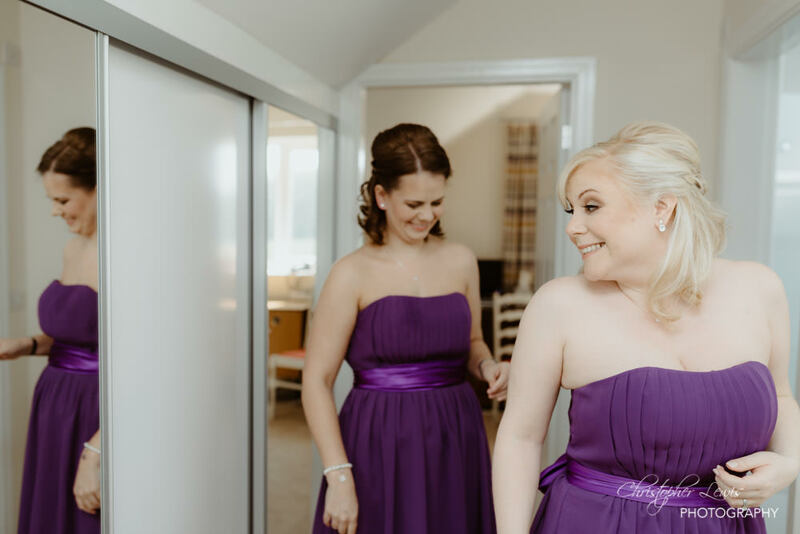 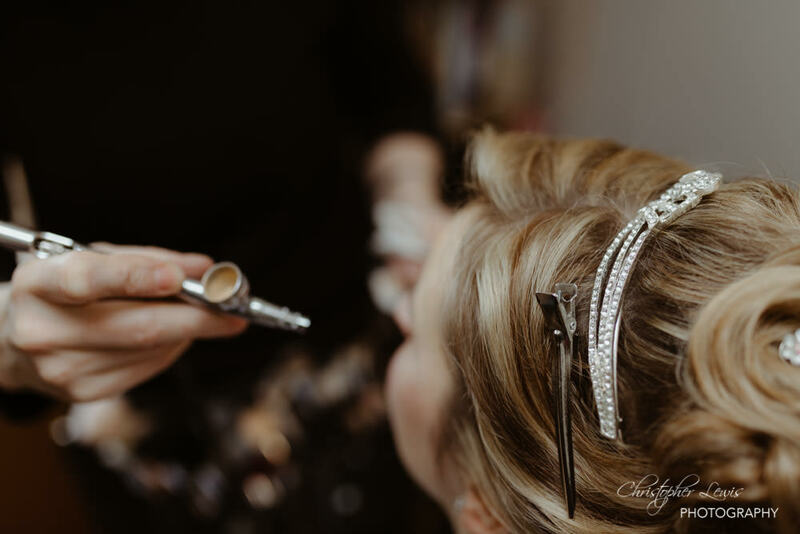 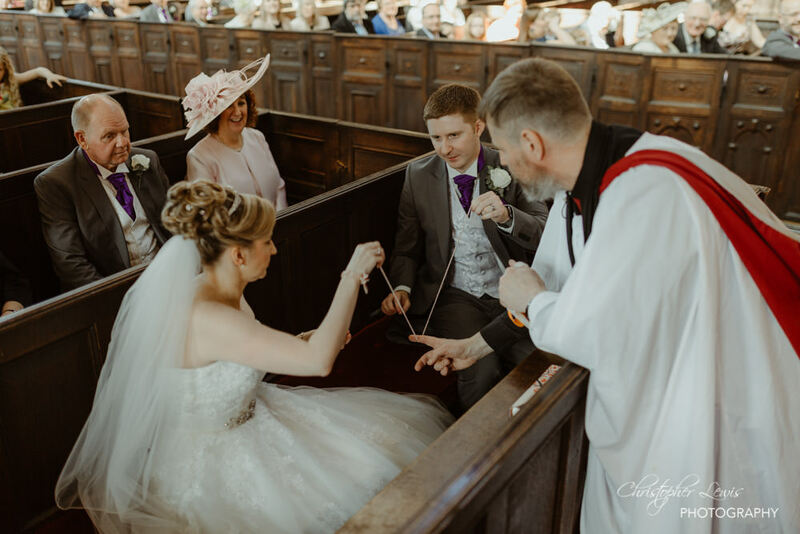 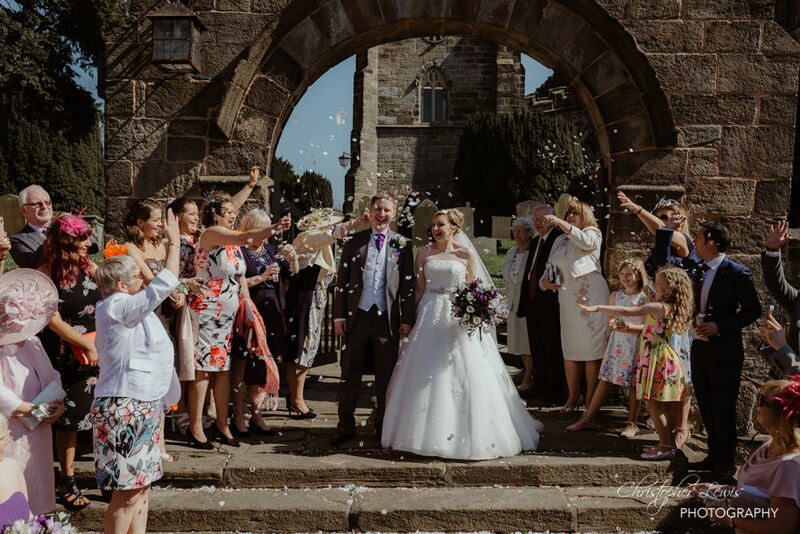 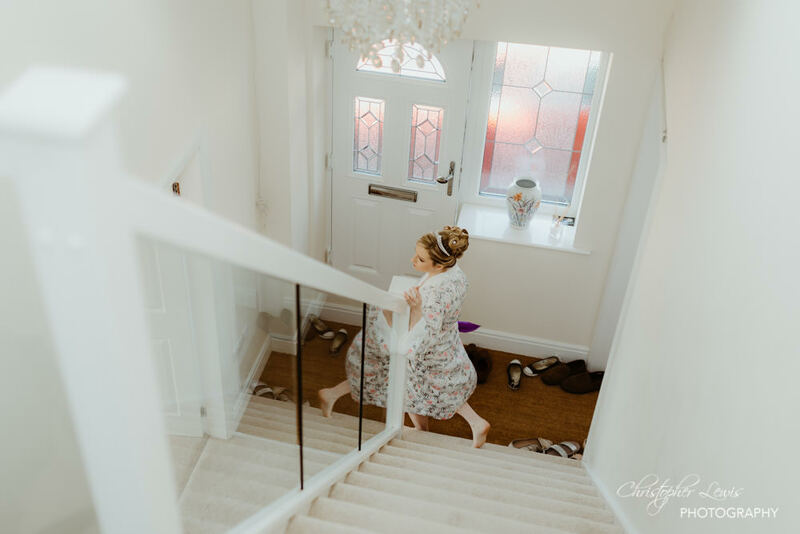 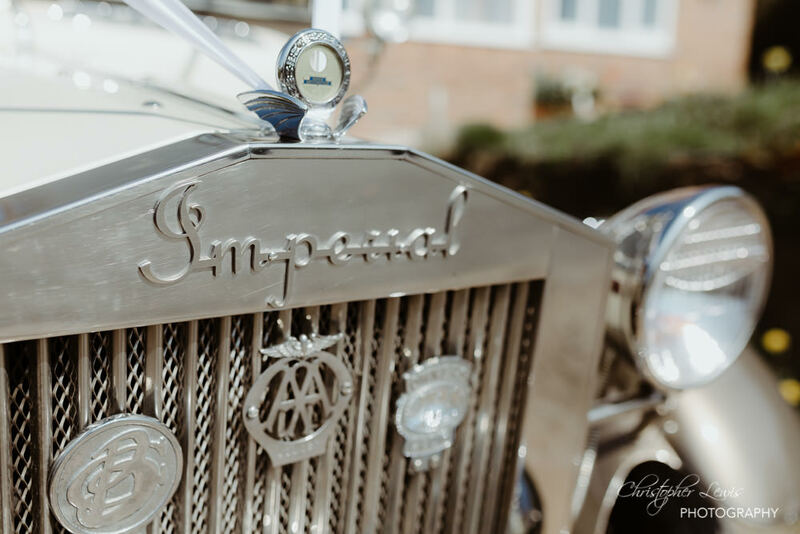 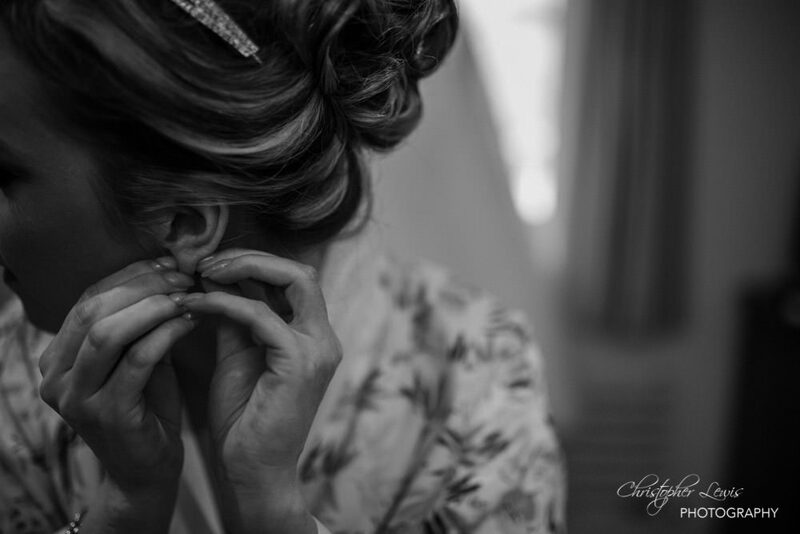 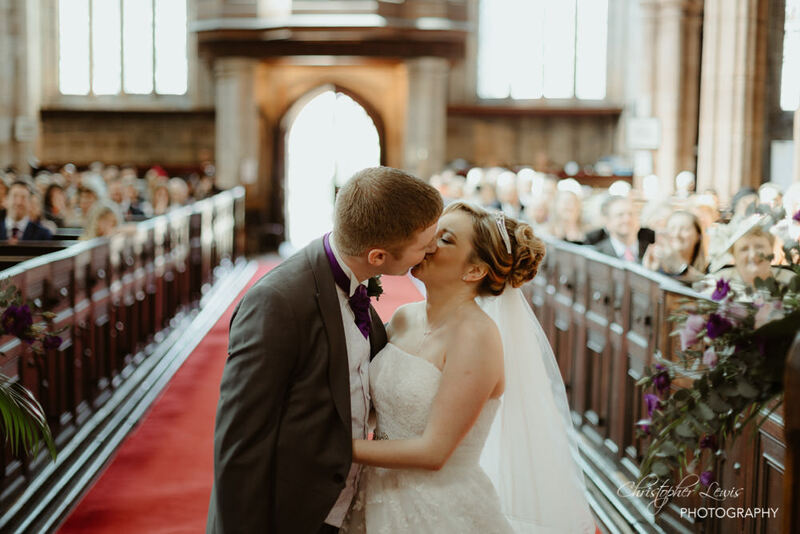 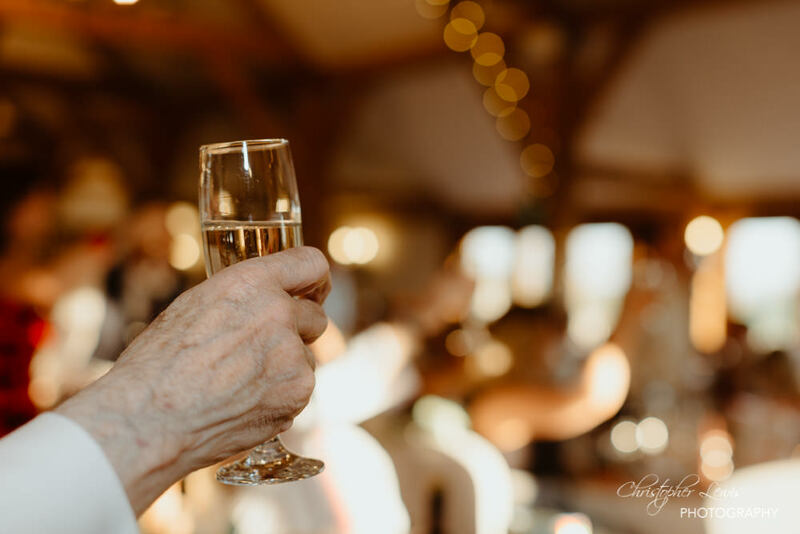 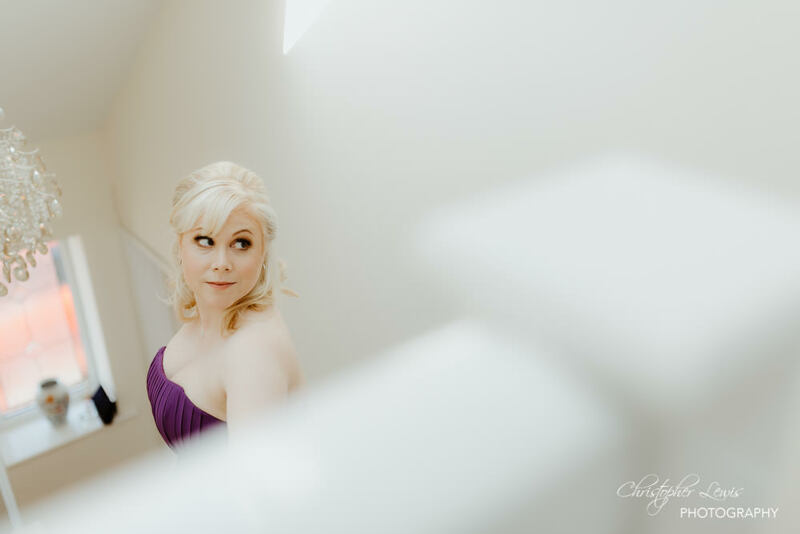 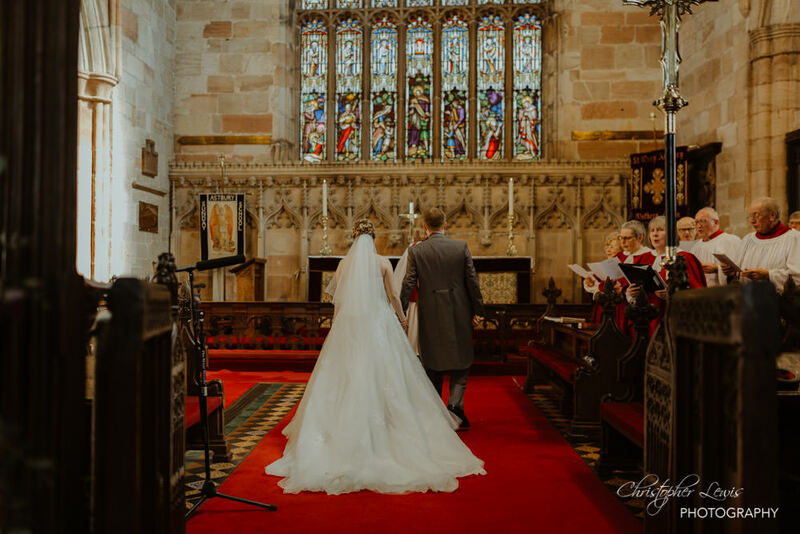 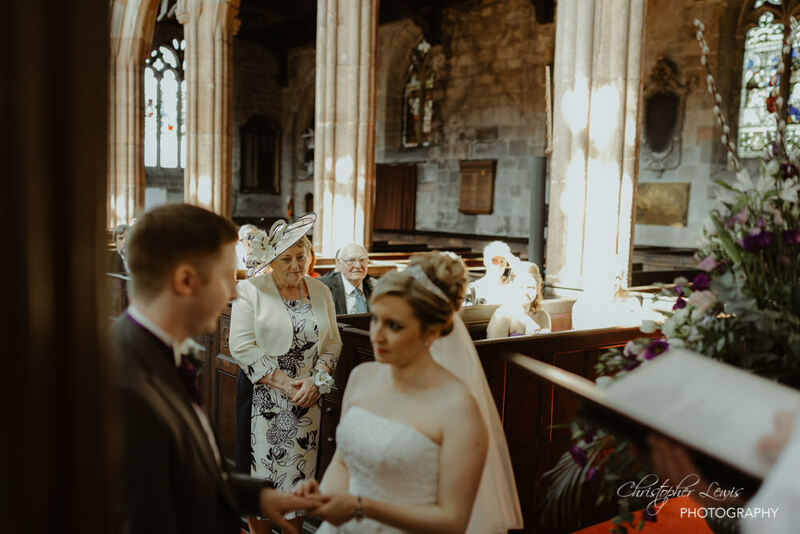 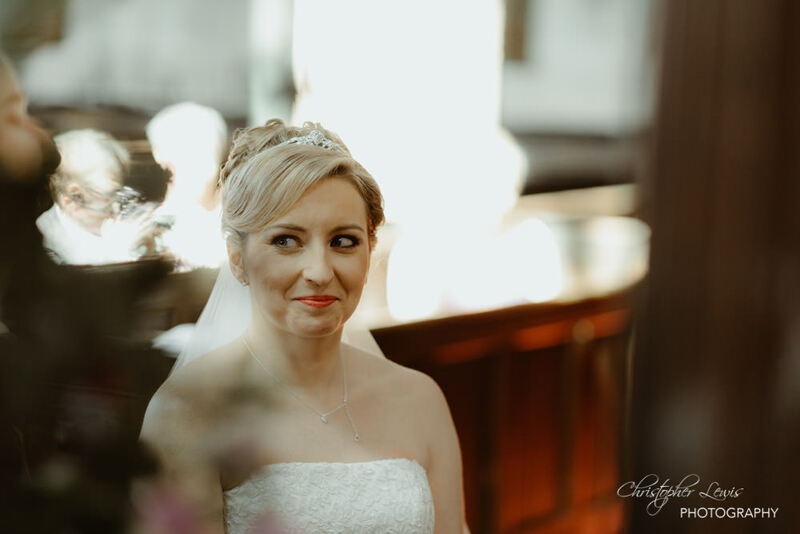 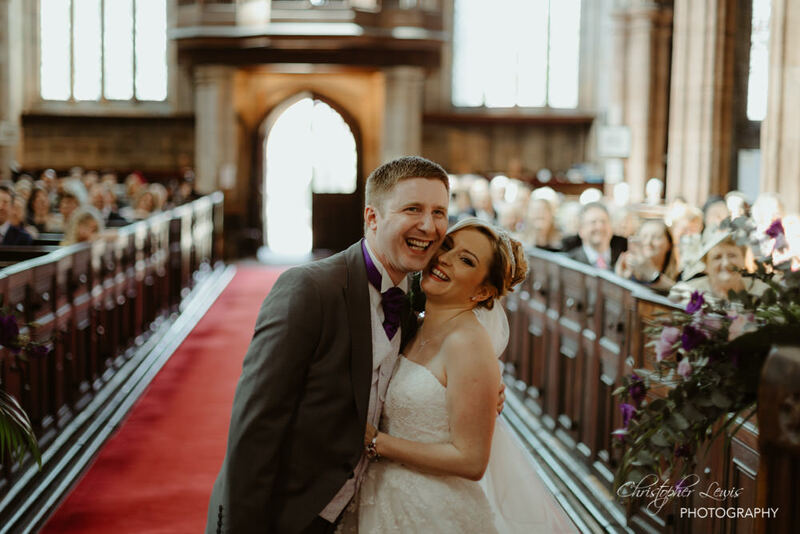 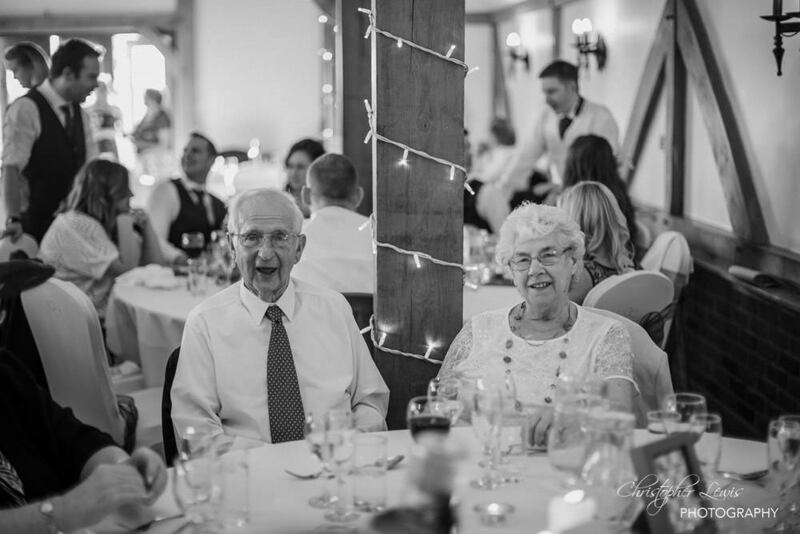 Pip’s mum lived 2 minutes down the road from the church in Congleton, and chose to get ready at her childhood home surrounded by her stunning bridesmaids. 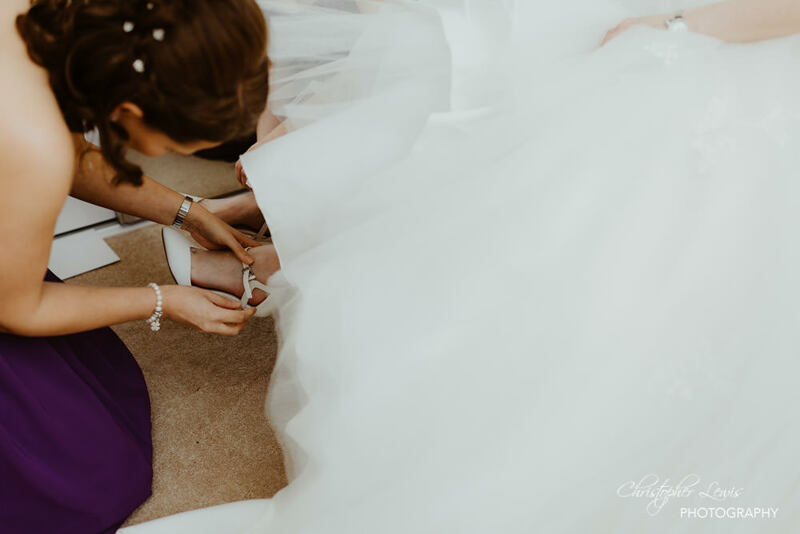 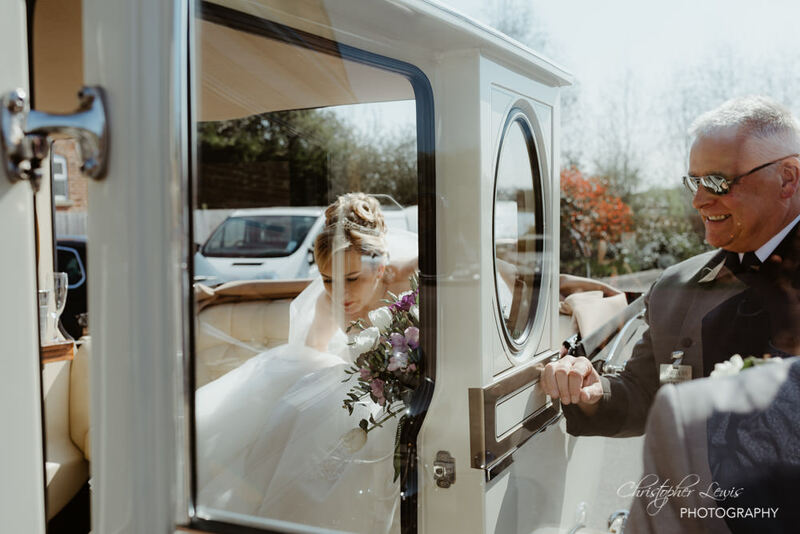 Samantha of ‘Shhh…’ provided the make-up for the girls, and armed with a pair of awesome white converse, Pippa was ready to head to the church. 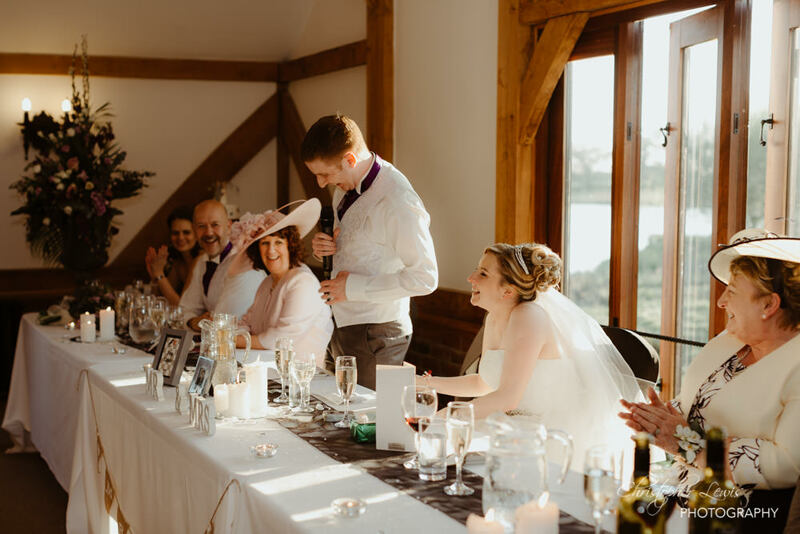 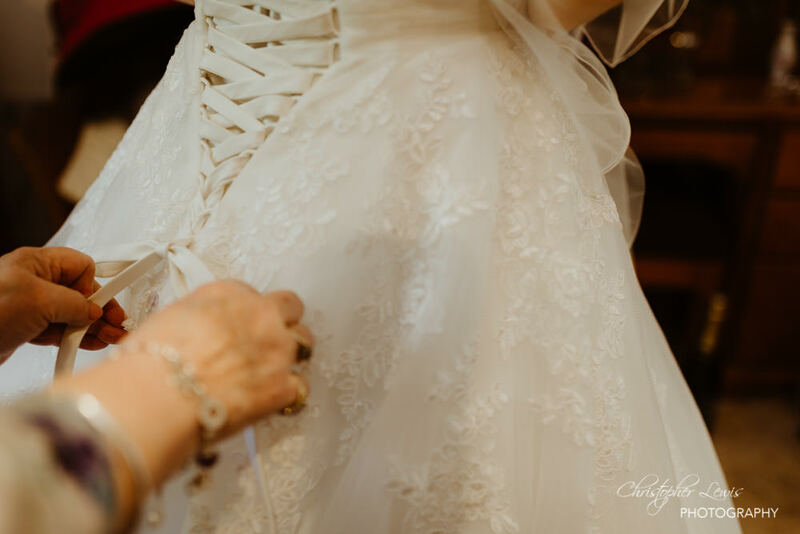 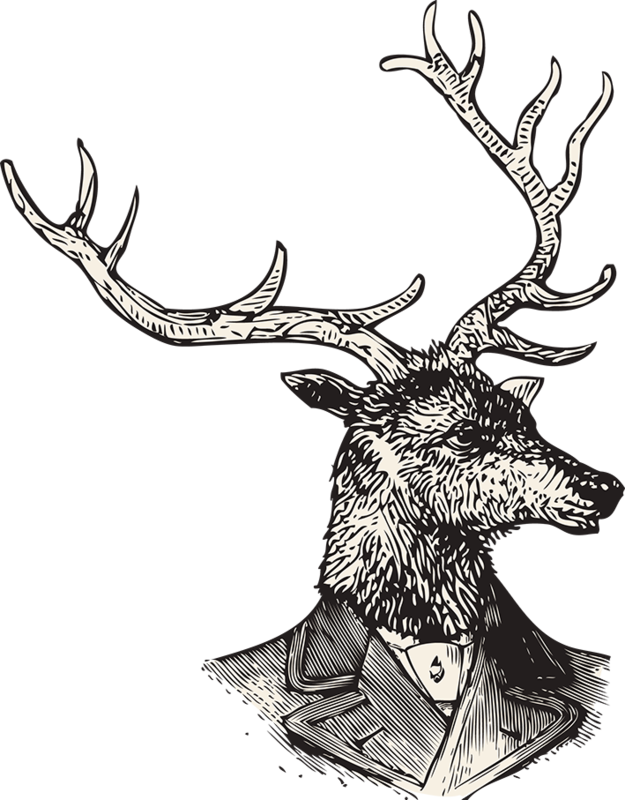 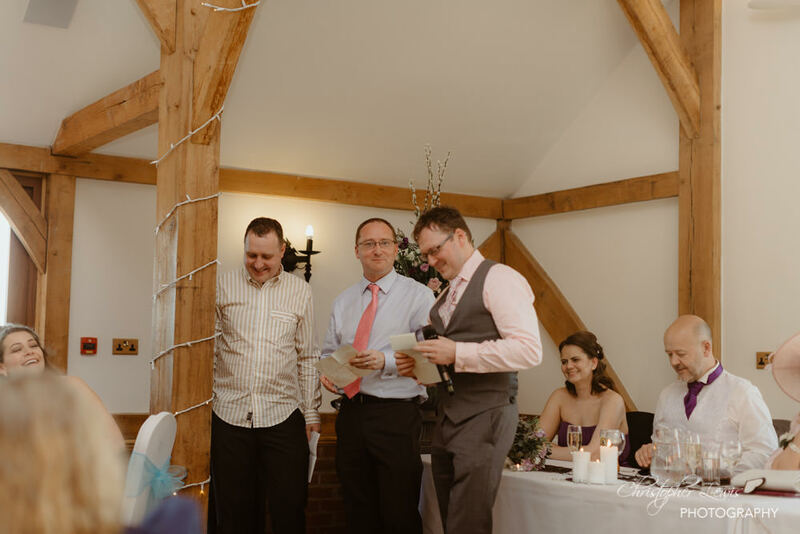 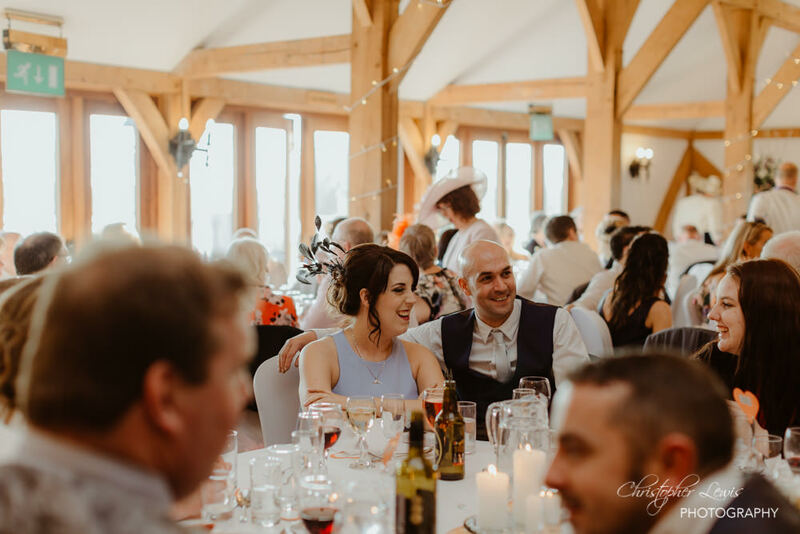 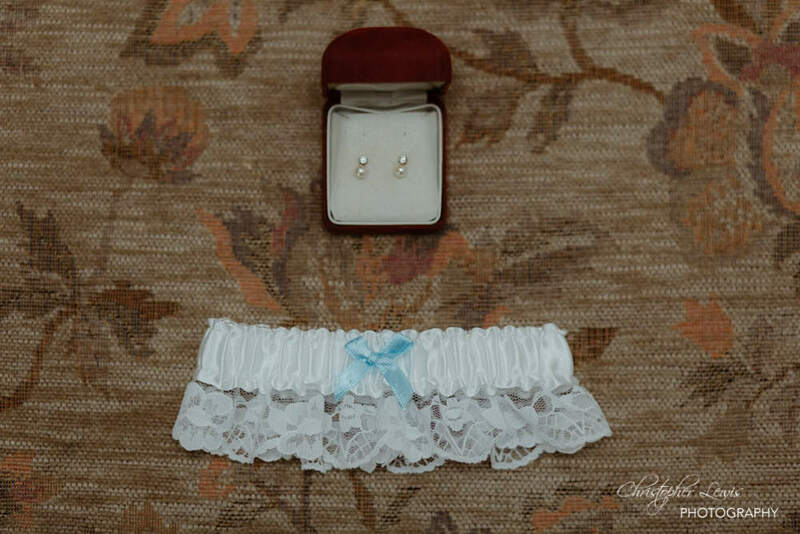 As she didn’t have a ‘something borrowed, my stag pin badge was quickly attached to the bottom of the dress, right next to a beautiful blue ribbon in the lace. 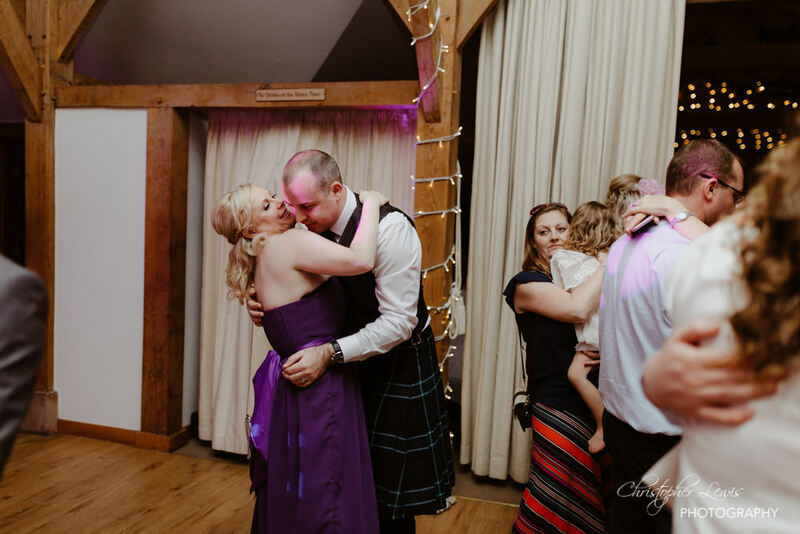 I made sure to get it back at the end of the night! 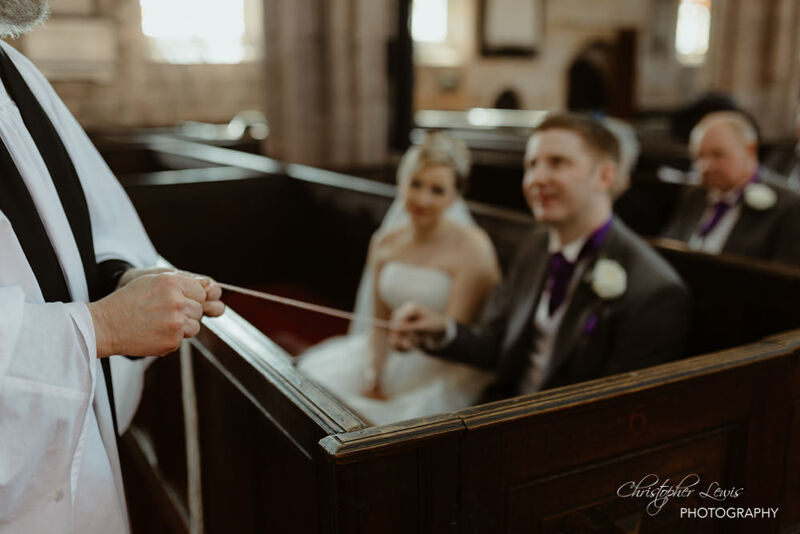 The service was interesting, to say the least! 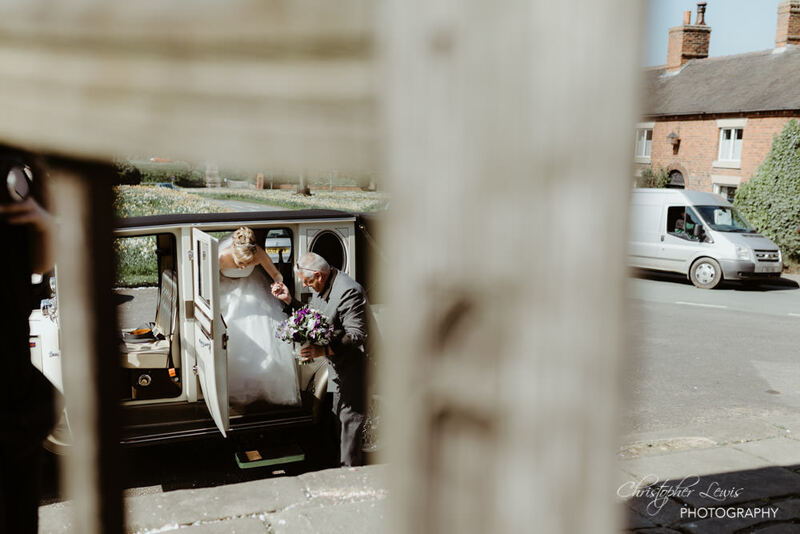 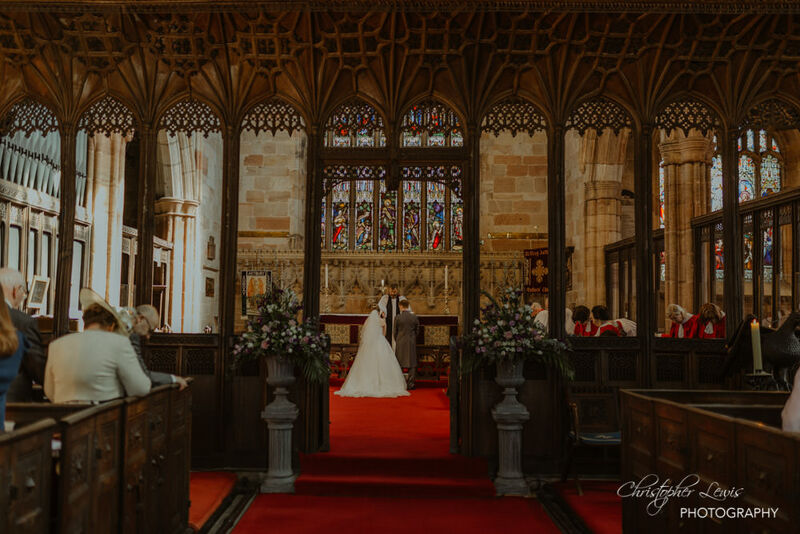 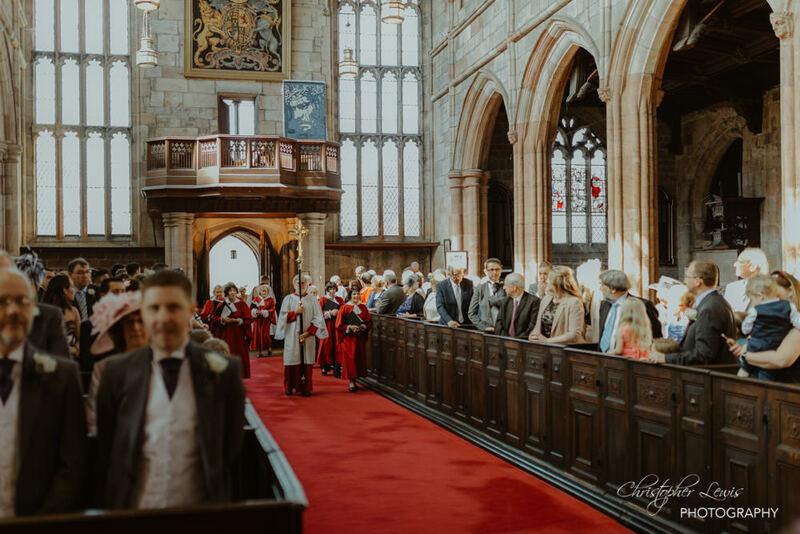 With quite possibly the coolest Vicar we’ve had to date, and awesome light leaking in through those huge windows, we watched as Phil and Pippa tie the knot – quite literally – while the friends and family watched on. 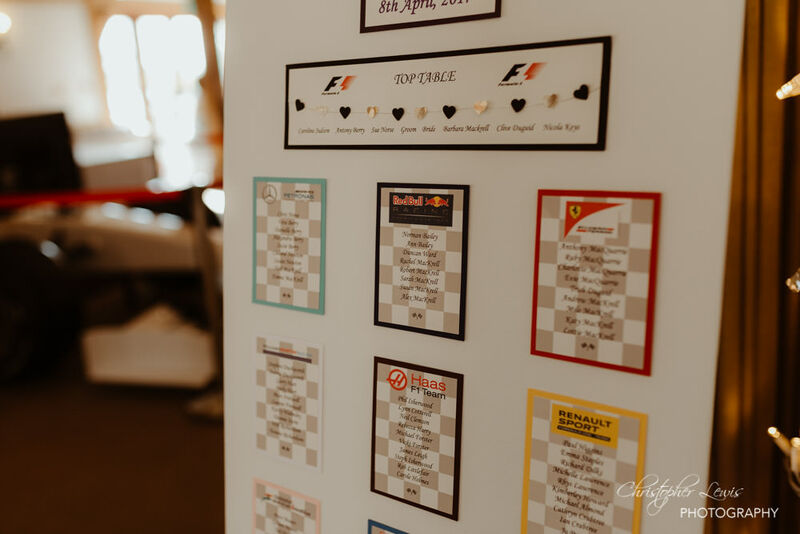 On to Sandhole, where the formula one-themed celebration was getting underway. 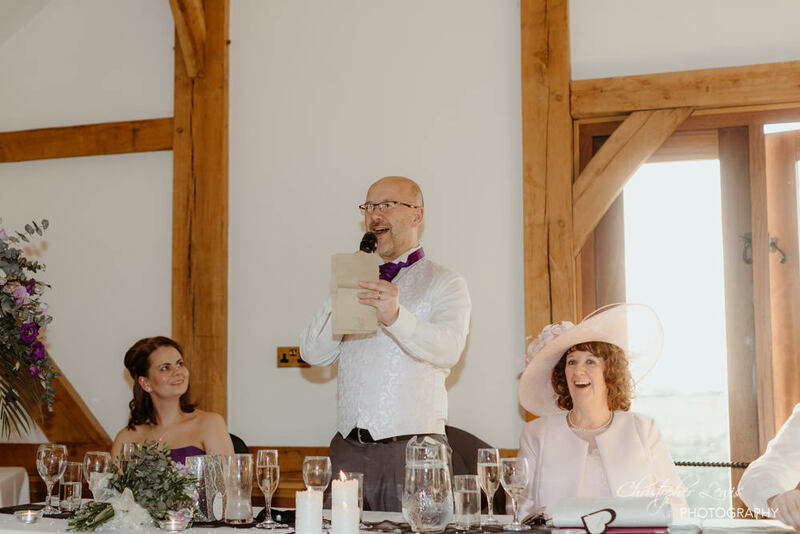 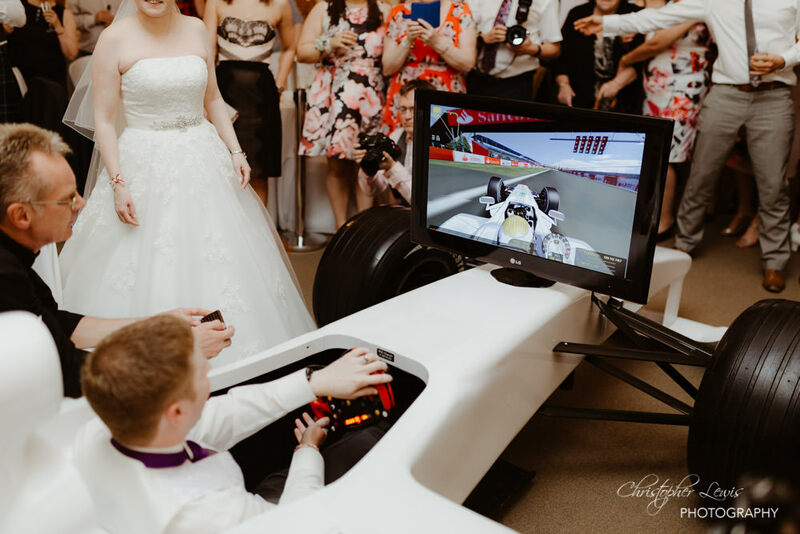 They even had a full-sized simulator brought in for a time trial competition, and made their entrance to Fleetwood Mac’s ‘The Chain.’ Alex Birtwell was on hand to welcome the speeches, DJ, Sing and provide the fun photo booth mirror for the guests (side note – he was awesome!) 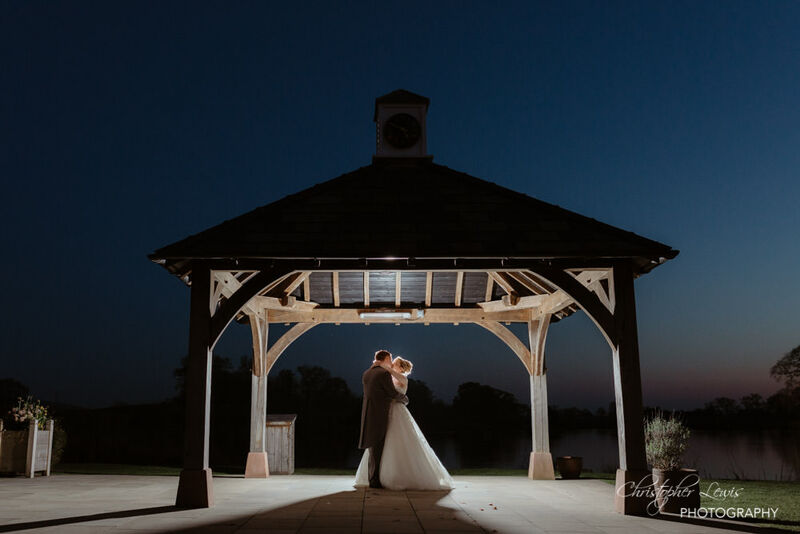 and as the sun set, we grabbed some twilight portrait shots of the pair as they headed in to the evening reception. 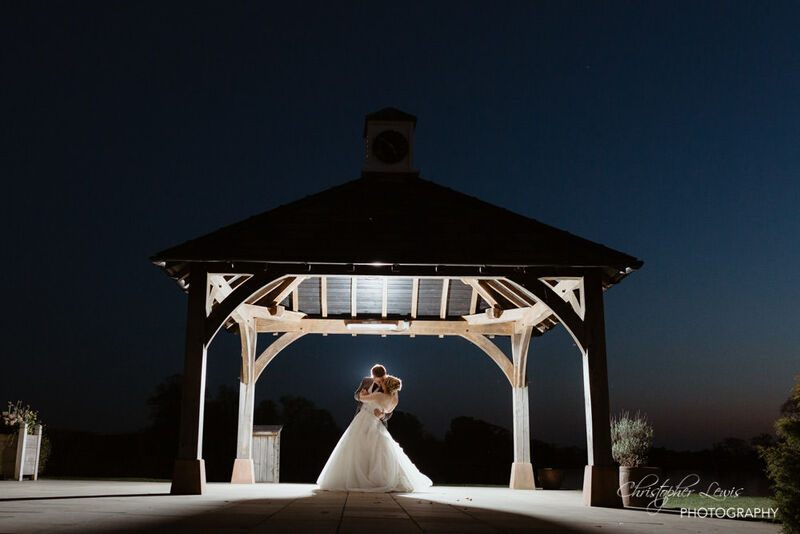 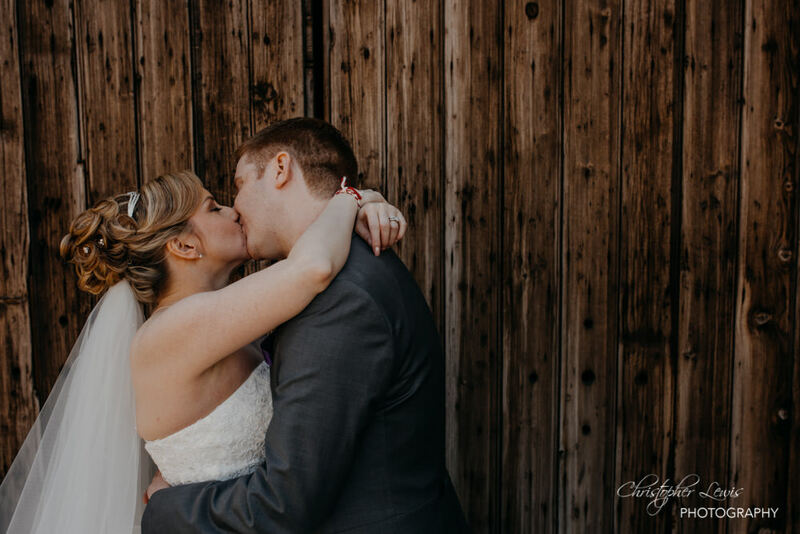 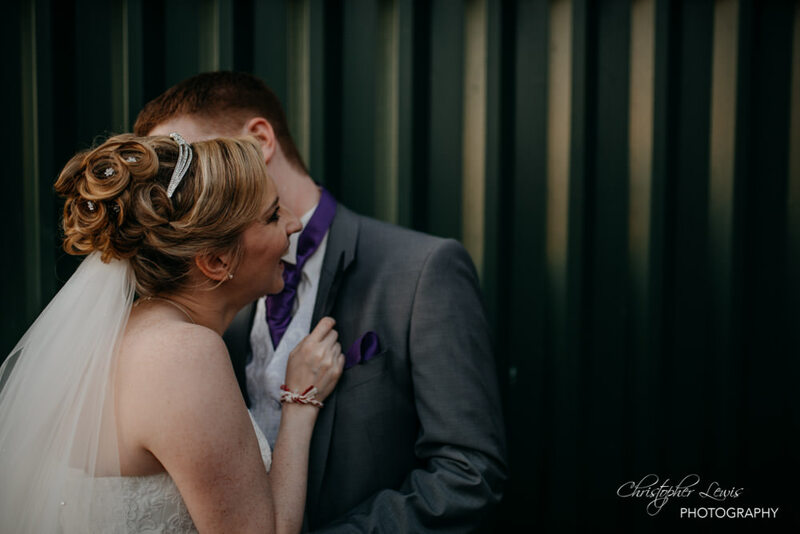 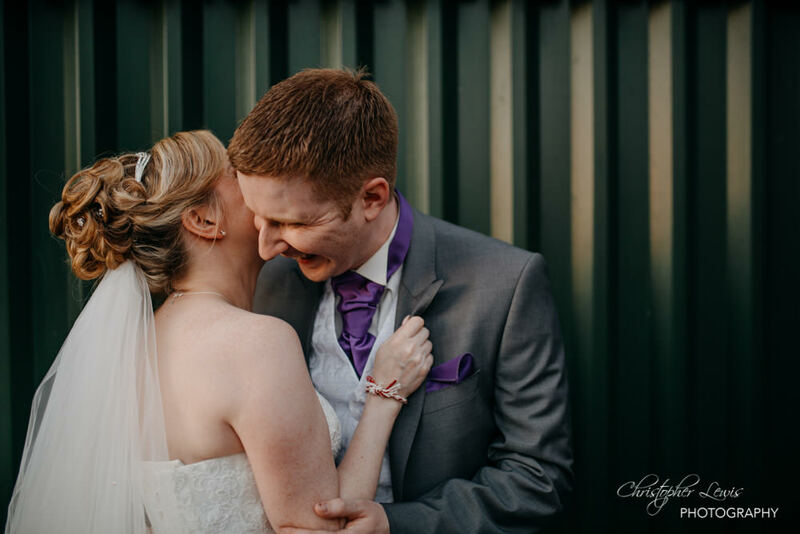 The couple were game for anything, and when the suggestion was made that we use smoke bombs as part of the shoot, we jumped into action and shot some awesome images of the pair as they kissed and cuddled! 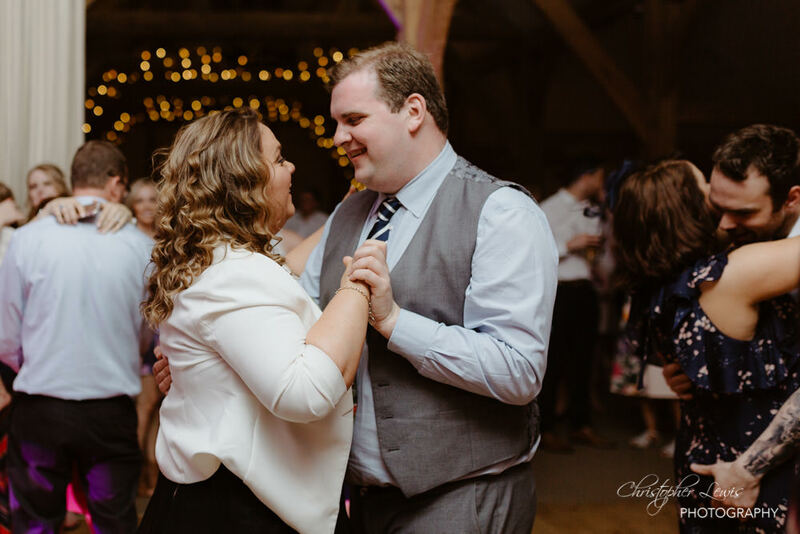 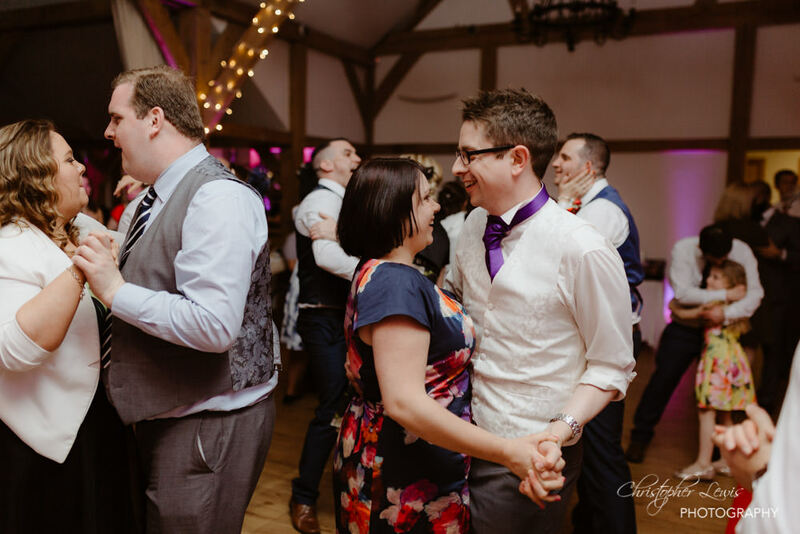 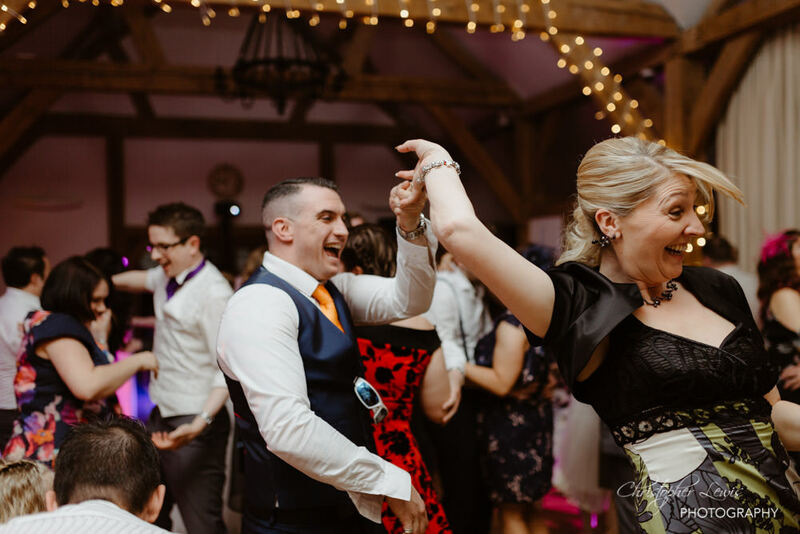 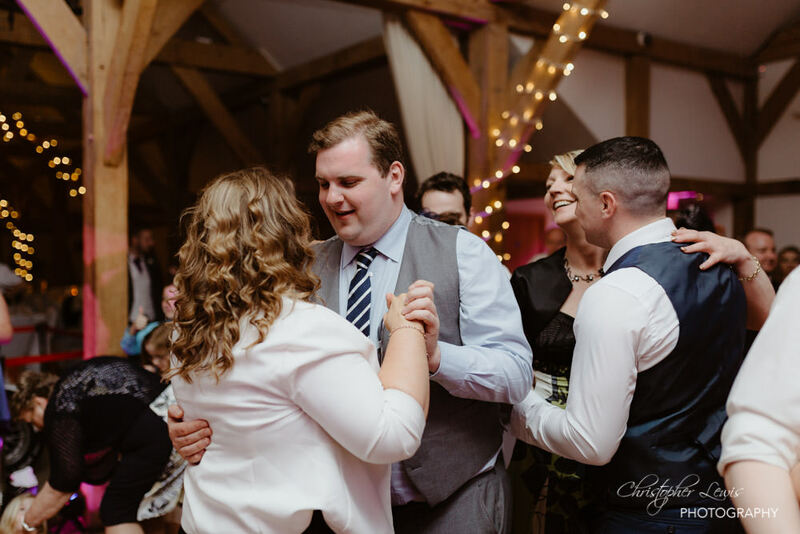 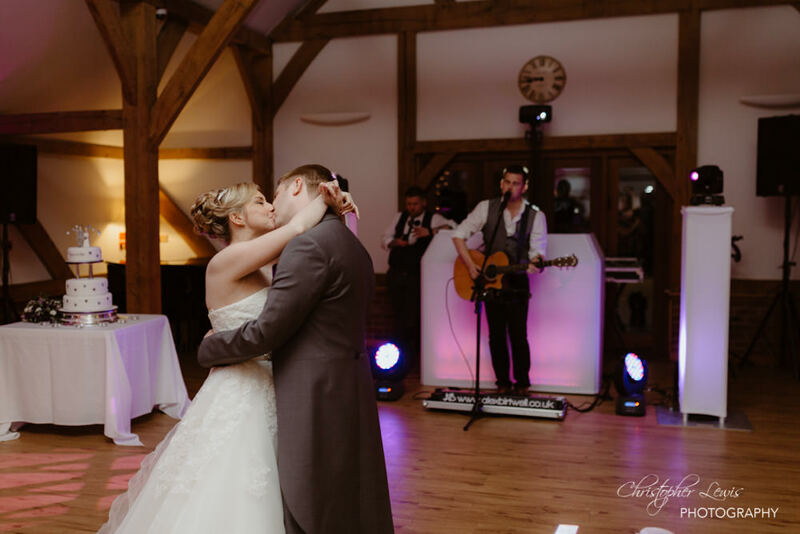 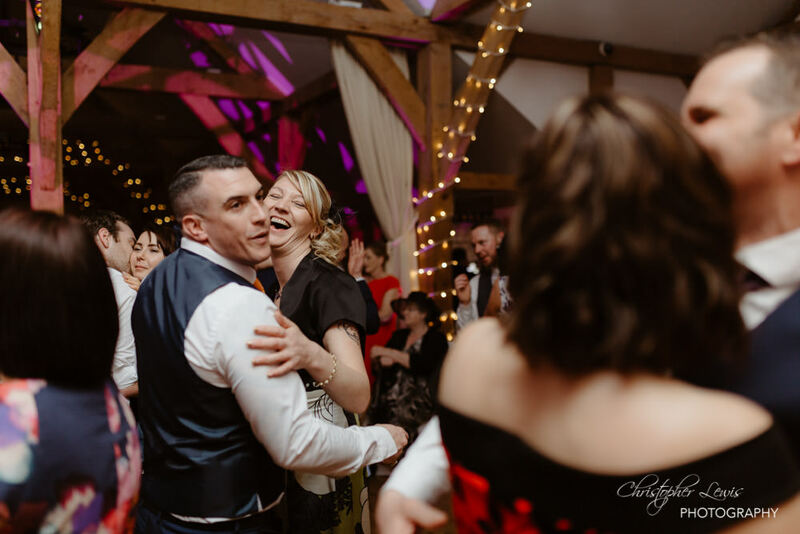 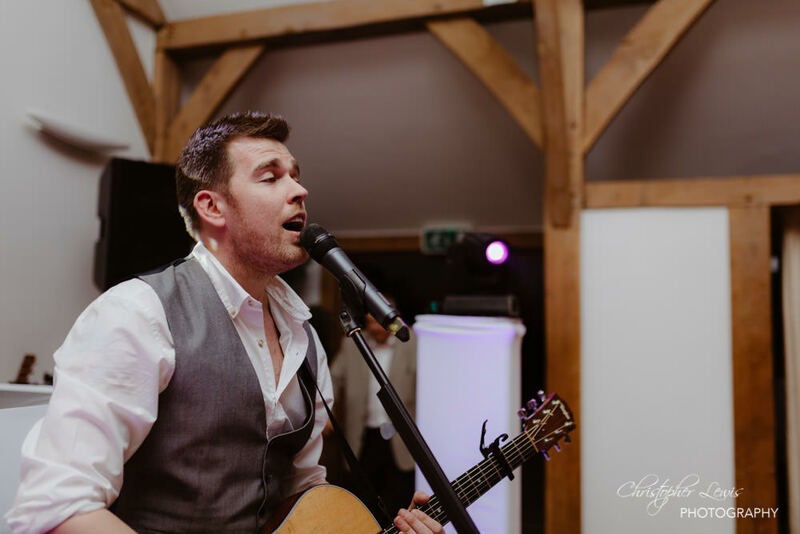 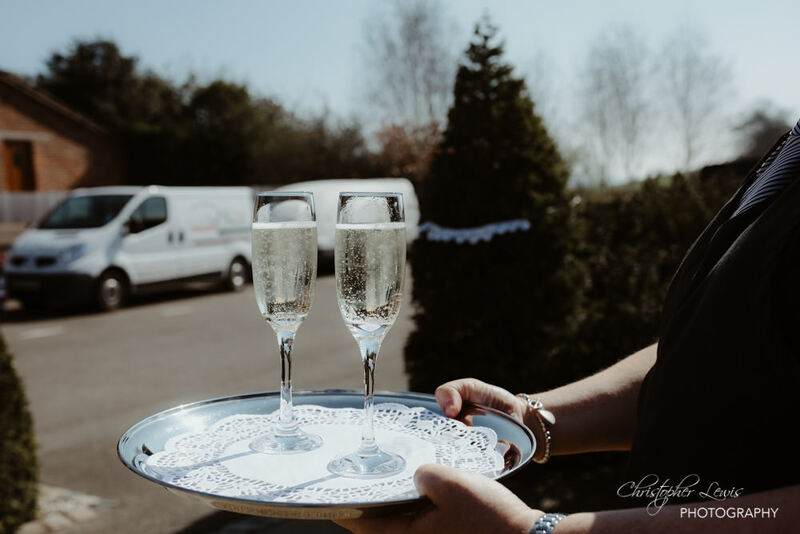 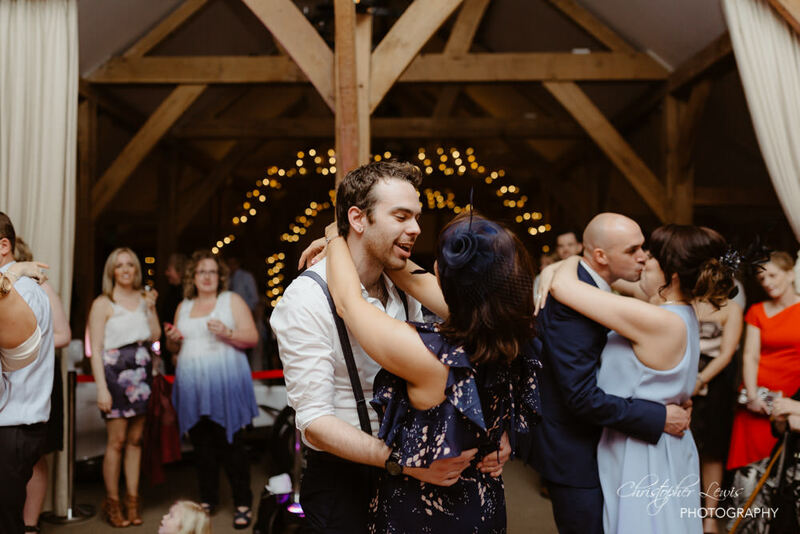 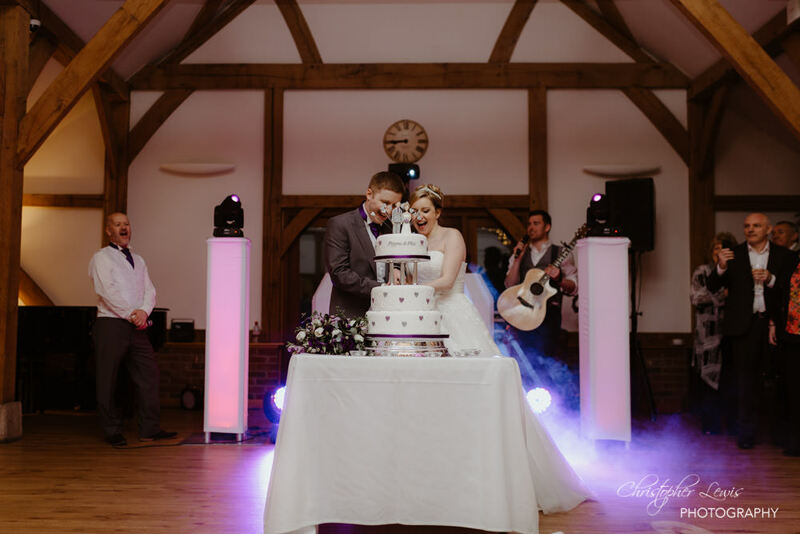 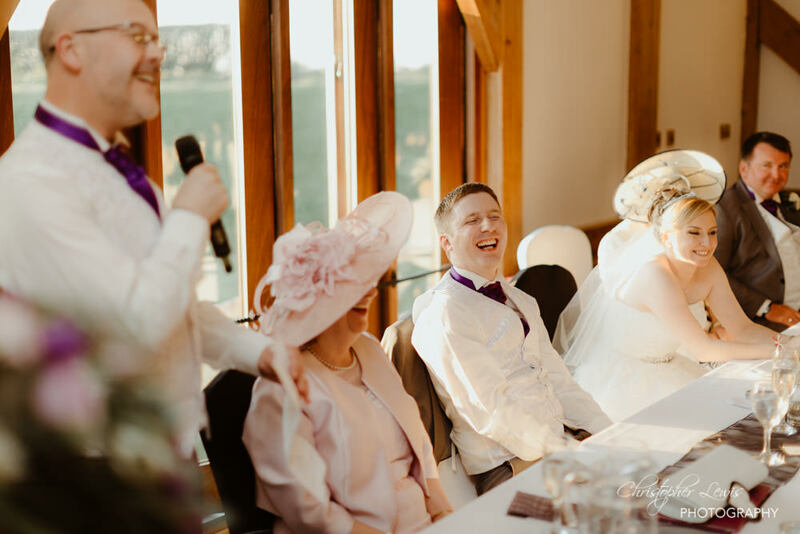 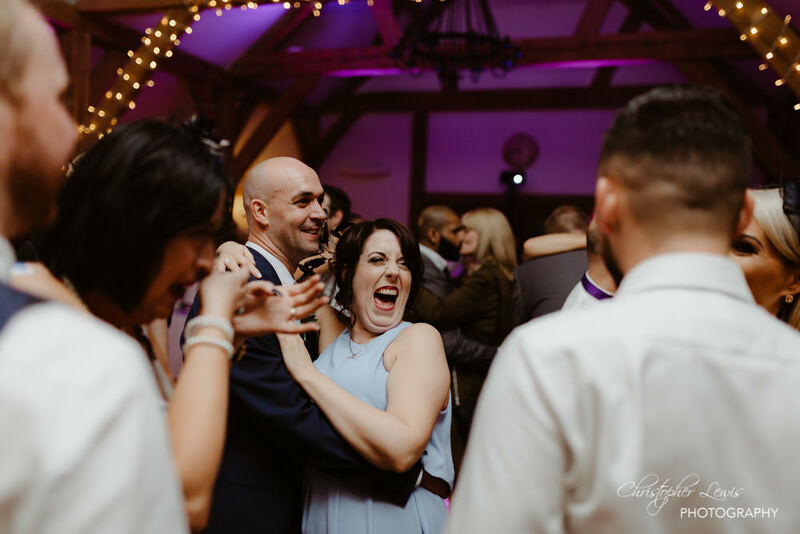 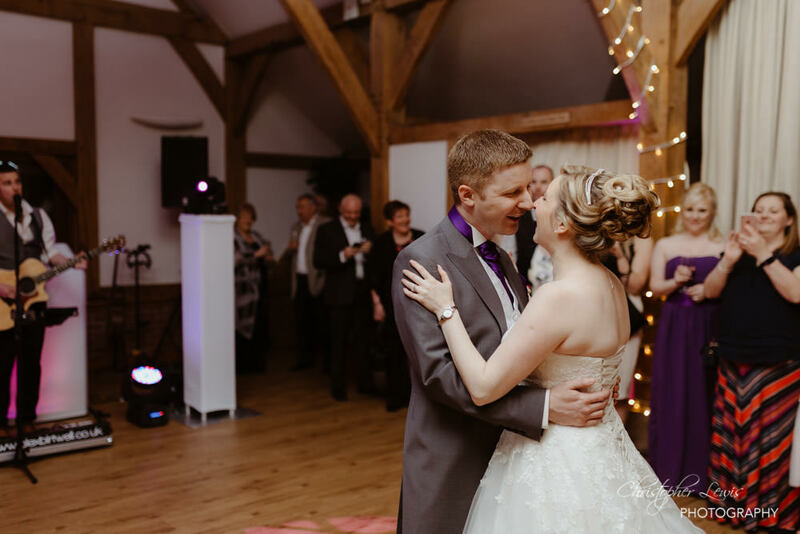 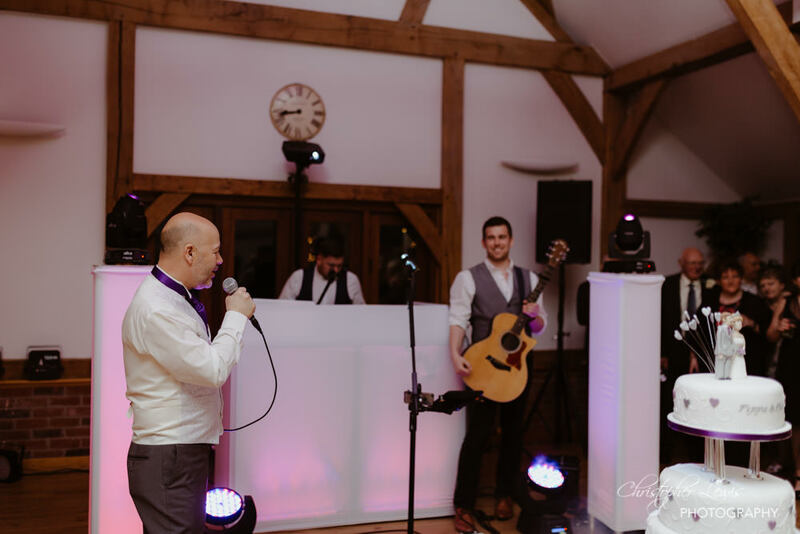 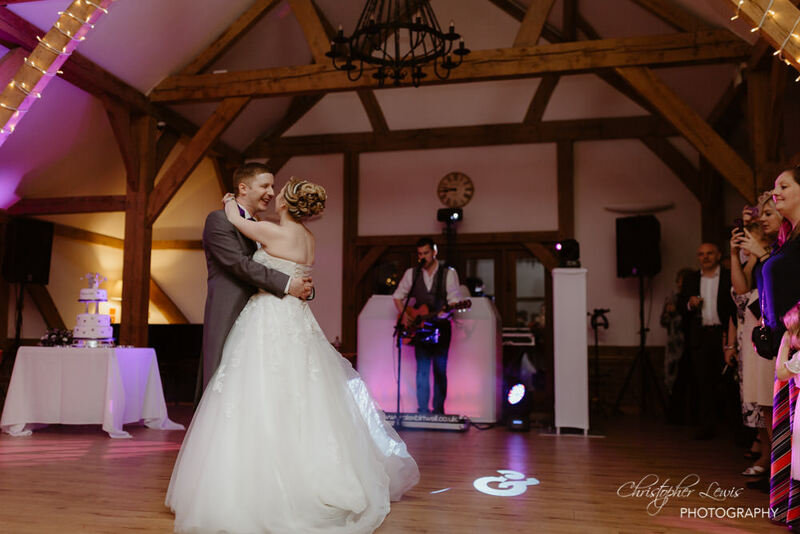 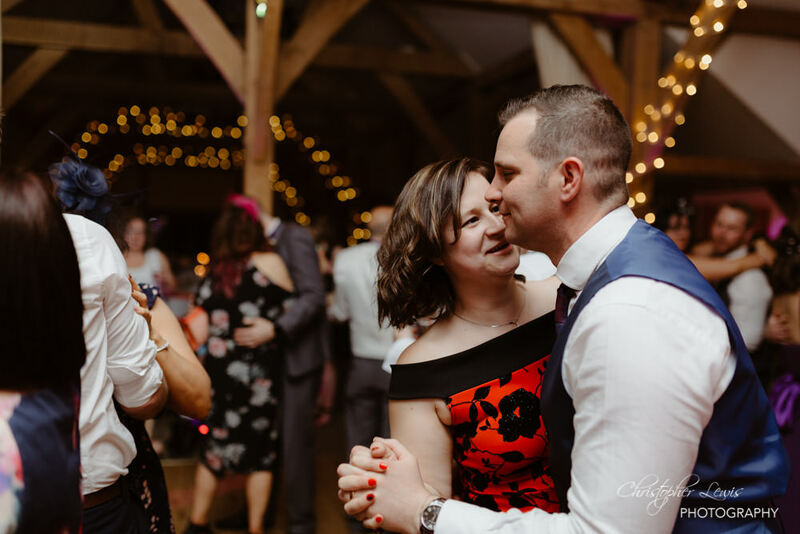 We knew that unfortunately the time had come for us to leave once the cake was cut and the party got underway, so after a ‘dance floor’ session in the first couple of songs, we packed away our gear and headed home! 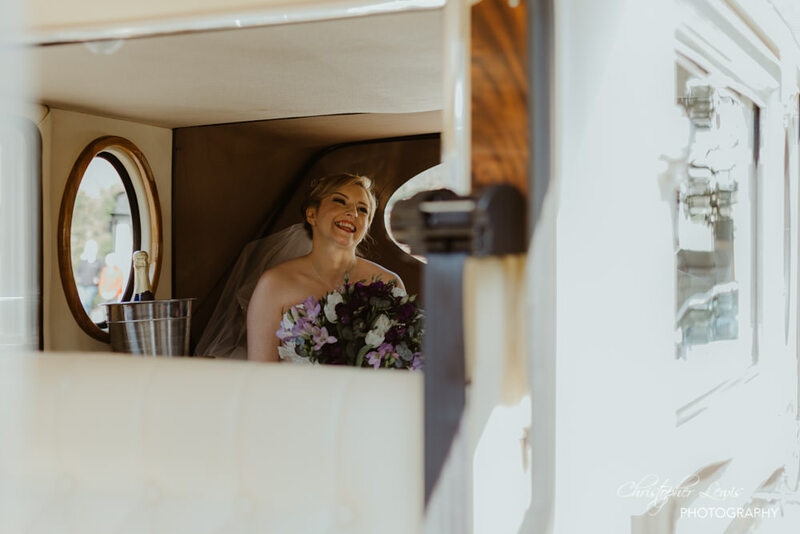 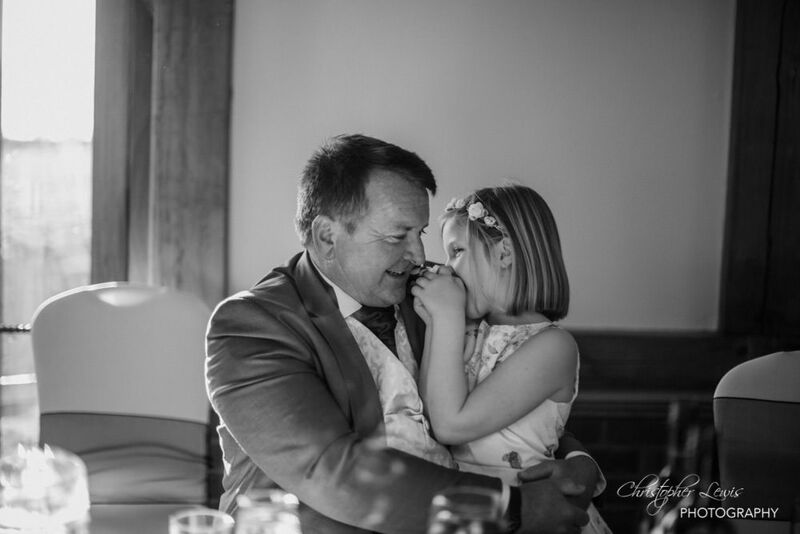 Thanks to Sally for providing second shooter work today, Alex for the entertainment throughout the day, and Sandhole for the hospitality, and the stunning wedding venue! 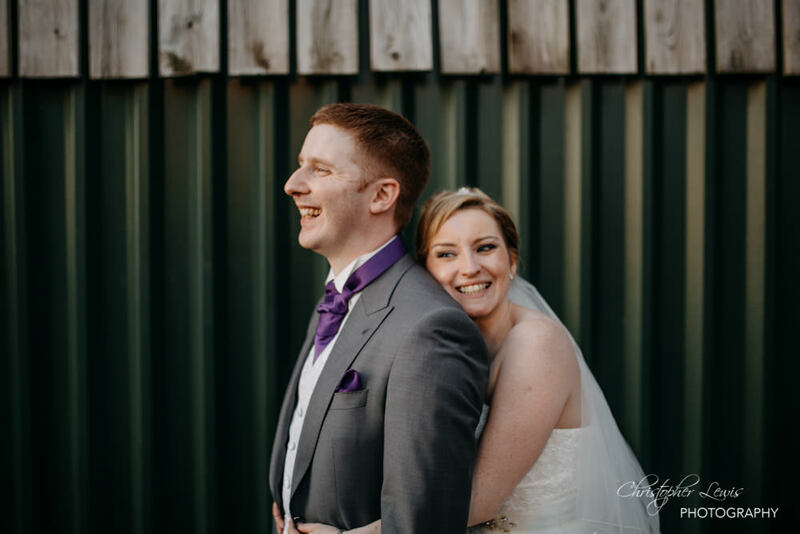 Most importantly my thanks goes to Phil and Pippa, the cracking looking pair in front of my camera – it was an honour to spend the day with you. 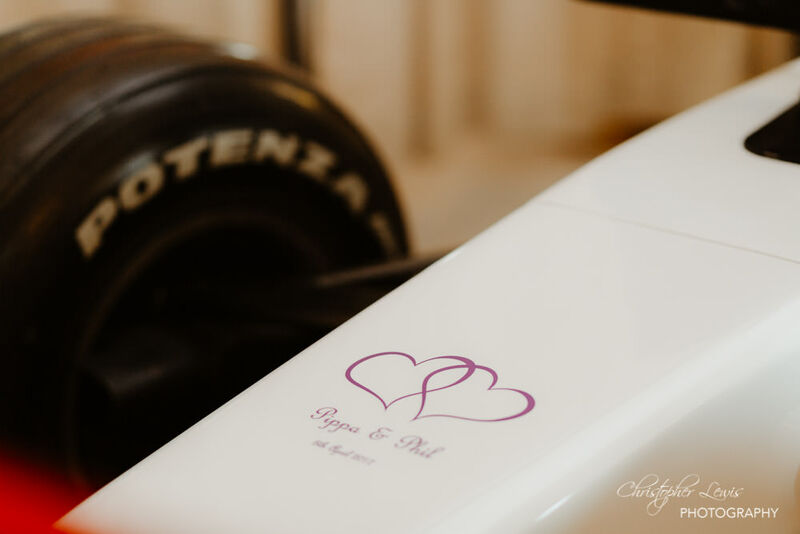 and thank you for my wedding favour – a formula one car USB!